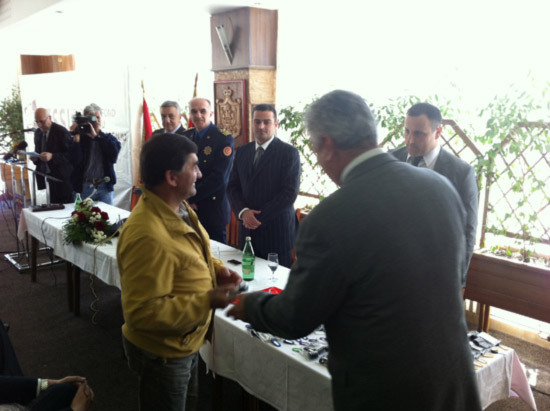 Keys to the residential and commercial building, containing 25 dwellings and developed jointly by the Montenegrin Fund for Solidarity Housing Development (CFSSI) and the Municipality of Mojkovac, have been handed over at today’s ceremony. 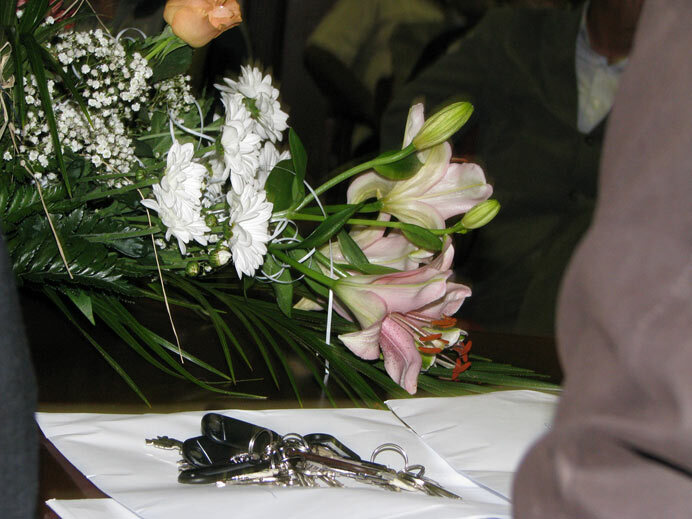 Dwellings are intended for meeting the housing needs of the employees of local administration, state authorities and CFSSI’s members. 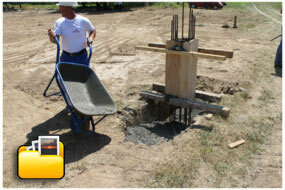 The building is of good quality, constructed according to the latest construction standards. 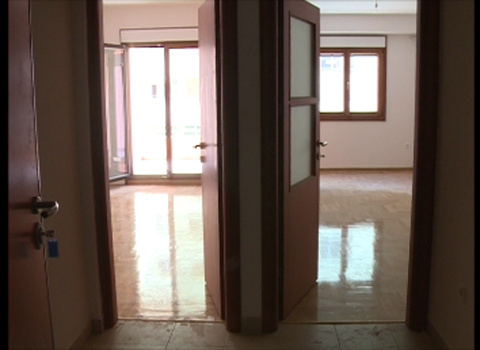 Moreover, it is adjusted for disabled persons and provides its future tenants with an elevator and central heating system. 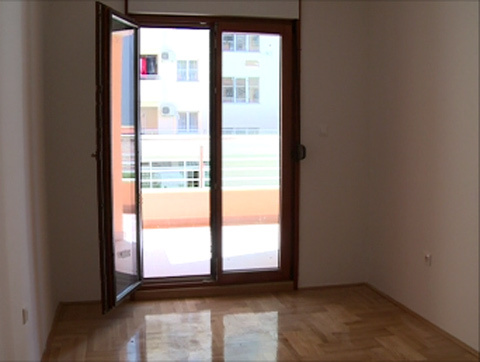 Out of 25, there are 5 studios, 6 one-bedroom and 14 bedroom dwellings, the price of which amounts to EUR 600/m². 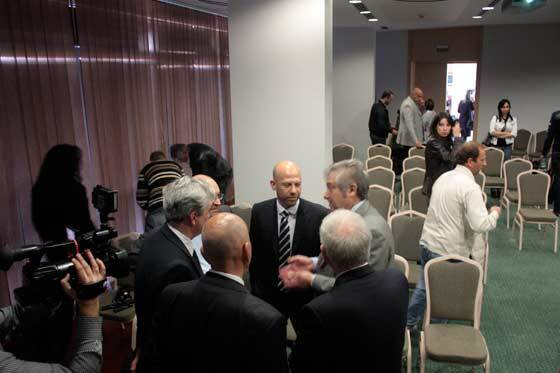 The Consortium of companies “Kompas”, Bijelo Polje and “Bemax”, Podgorica was the contractor while the value of the project amounts to ca EUR 1.1 million. 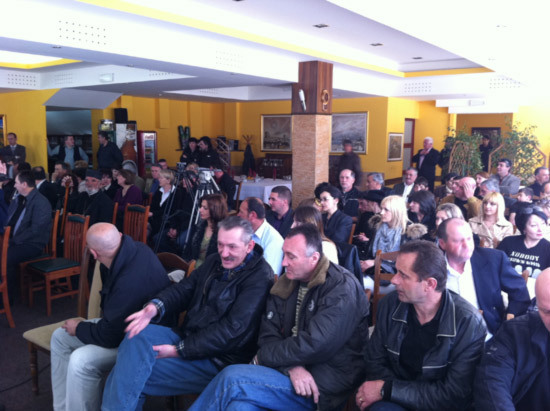 The ceremony was attended by the representatives of the Municipality of Mojkovac, CFSSI, Municipal Trade Union Commission, Montenegrin Employers Federation as well as the representatives of media. 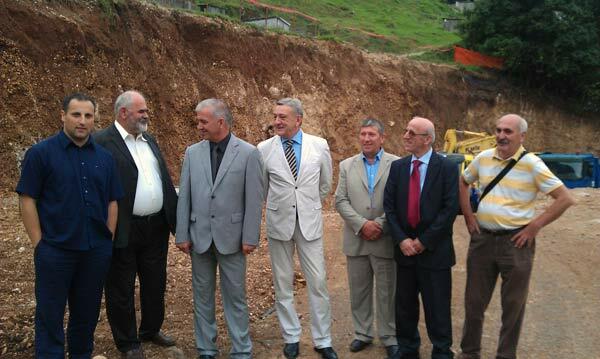 Ceremony on the occasion of completion of works on the housing project containing 270 dwellings in Topolica – Bjelisi settlement in Bar was held on Monday, 12 August 2013. 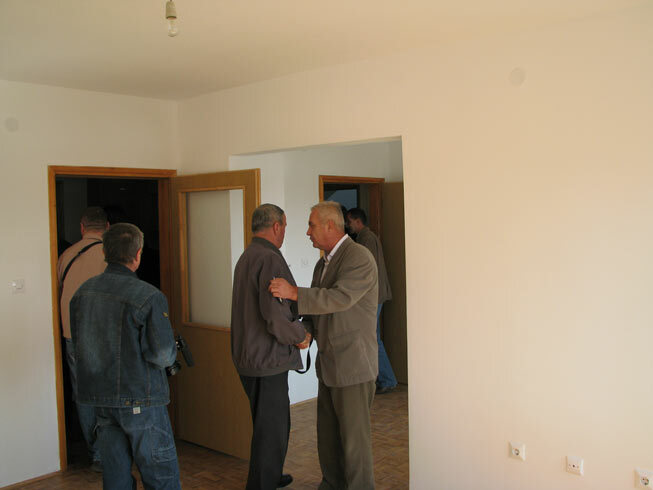 Housing project was carried out jointly by the Montenegrin Fund for Solidarity Housing Development (CFSSI), the Municipality of Bar and the Municipal Trade Union Commission Bar and is aimed at meeting the housing needs of employees of local administration, state authorities and companies - members of the CFSSI. 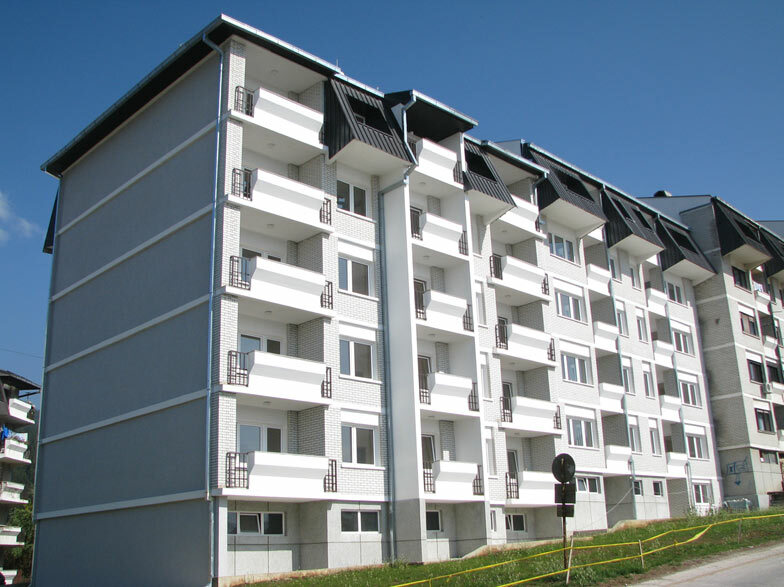 Buildings were developed according to the latest ecological and energy efficiency standards and are the first buildings in Montenegro to introduce solar water heating system, which will reduce costs for consumed electrical energy to their beneficiaries of up to 40 percents. 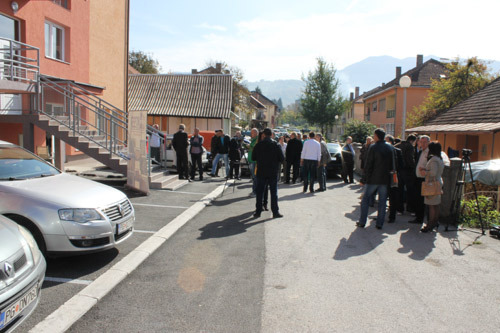 Project design anticipated 108 one-bedroom dwellings totaling 45 to 50 m² and 162 two-bedroom dwellings totaling 65 to 70 m², the selling price of which amounts to 780 €/ m². 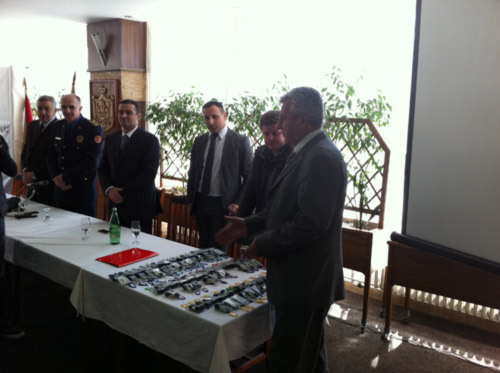 The Company “Celebic” from Podgorica was the contractor and the investment value amounts to EUR 12,100,000. 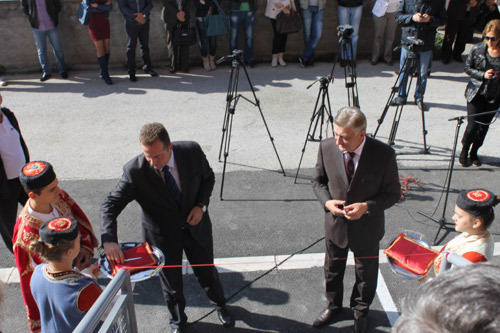 The ceremony was attended by the representatives of the Government of Montenegro, the Municipality of Bar, the CFSSI, the contractor, public institutions and companies from Bar, media, as well as future tenants of buildings to whom the keys of dwellings were handed over during the ceremony. 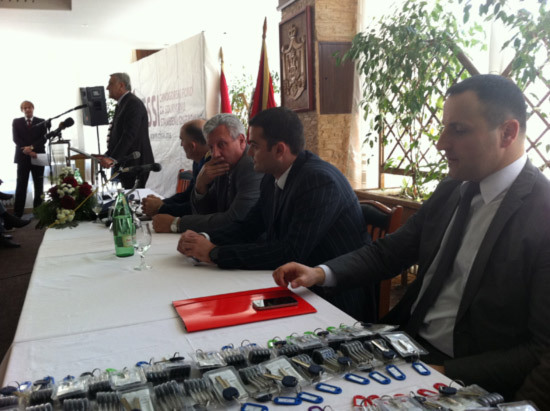 Montenegrin Fund for Solidarity Housing Development LLC and the company “Celebic” from Podgorica have signed the Contract on construction of residential and commercial building in Budva, at urban parcel No. 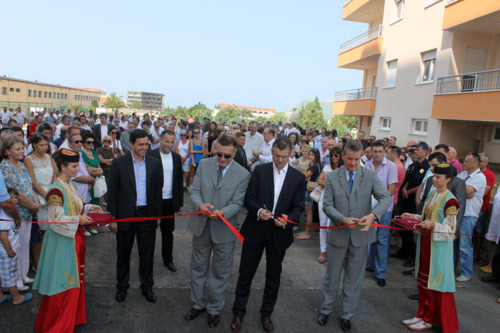 4 in Rozino settlement, which was allocated for this purpose by the Municipality of Budva. 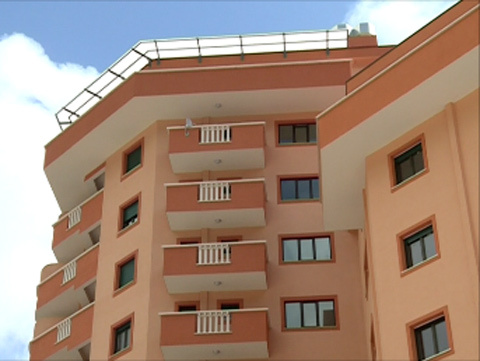 The Building, the value of which amounts to EUR 6 million will contain 131 housing units and 3 business premises and will be constructed on turnkey basis. 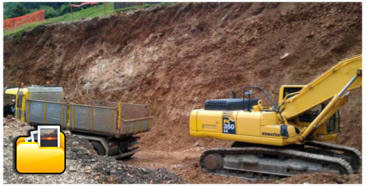 Time of completion of works is 14 months from the date when the contractor is given access to and possession of the site. 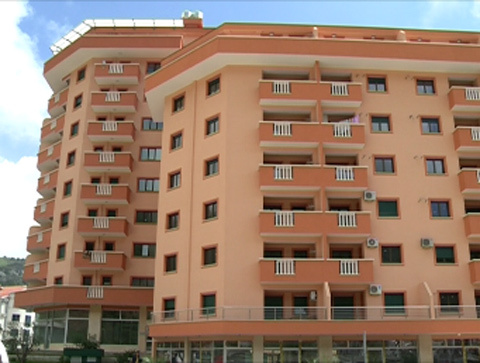 The building for collective housing, comprised of two lamella buildings with total number of 169 units, is intended for resolving housing issues of the employees from the territory of the Municipality of Podgorica and shall be carried out by the CFSSI and the Trade Union Commission of the Capital City of Podgorica. For this purpose, the latter obtained the land and infrastructure from the Municipality of Podgorica free of charge. 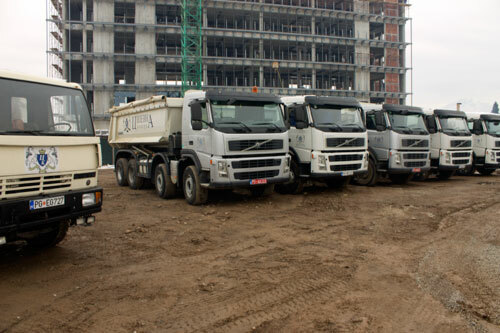 Contractor is the construction company Cijevna Komerc LLC from Podgorica, who is given 14 months from the day it enters the site to complete the building. 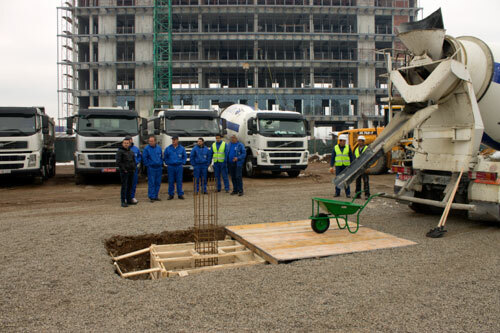 The foundation stone laying ceremony was attended by Vladan Vučelić, Deputy Mayor of Podgorica, Danilo Popović, President of the Board of Directors of CFSSI, Boris Mihailović, Executive Director of CFSSI, Goran Dragović, President of the Trade Union Commission of the Capital City, Zoran Masoničić, Secretary General of the Trade Unions Confederation, Marko Čanović, Deputy Minister of Sustainable Development and Member of the Board of Directors of CFSSI, Ivan Mitrović, President of the Assembly of the Montenegrin Employers Federation, representatives of the contractor and many others. 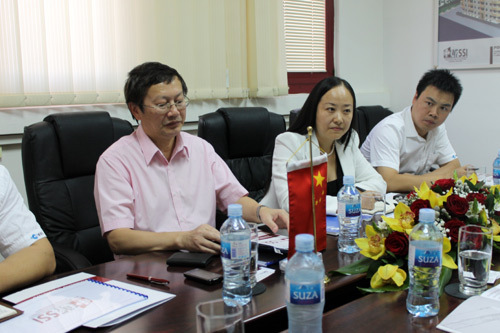 At the suggestion of Lei Yufeng, Commissioner of the China Development Bank for Serbia and Region (CDB) and the invitation of the Montenegrin Fund for Solidarity Housing Development, the Chinese Delegation has paid a three-day visit to the CFSSI. 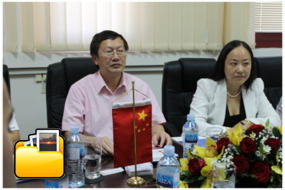 The Chinese Delegation consisted of the above-mentioned Commissioner of CDB and the Vice General Manager of the China Chongqing International Corp. for Economic and Trade Cooperation (CICET) Tian Juan and her associates. 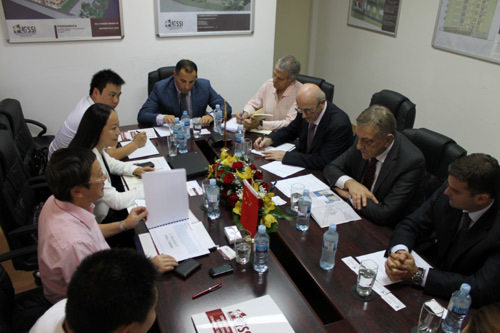 The reason behind this visit was the wish and the interest of the Chinese party to assess the opportunity for entering the Montenegrin market through cooperation with the CFSSI, i.e. 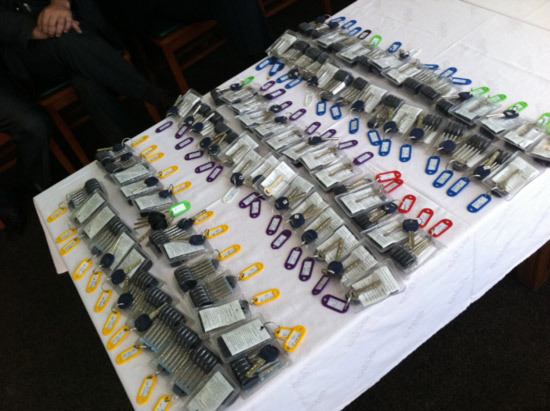 investment in some of the CFSSI’s major future projects. 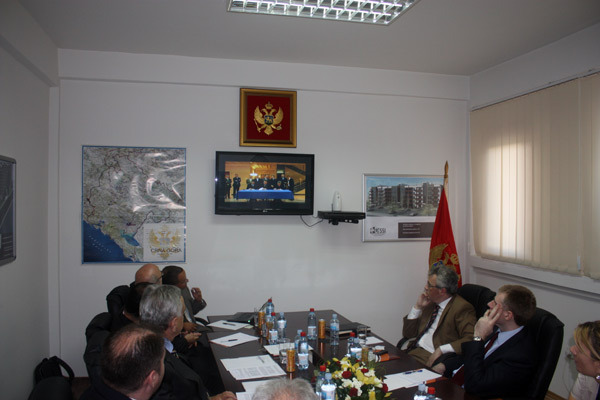 At the meetings organized over the course of this visit, the emphasis was put on the potential cooperation on the development projects Eco complex “Kavac” in Kotor and Eco-city located in Bandici in the Municipality of Danilovgrad. 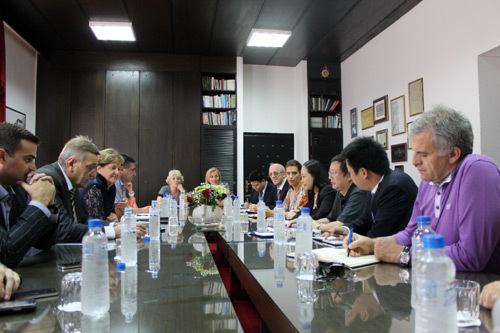 In this regard, on Wednesday, 19 September 2012, the Chinese Delegation, along with the representatives of the CFSSI headed by Danilo Popovic, Chairman of the Board, as well as representatives of the Government and the Employers Federation, has visited the Municipality of Kotor. 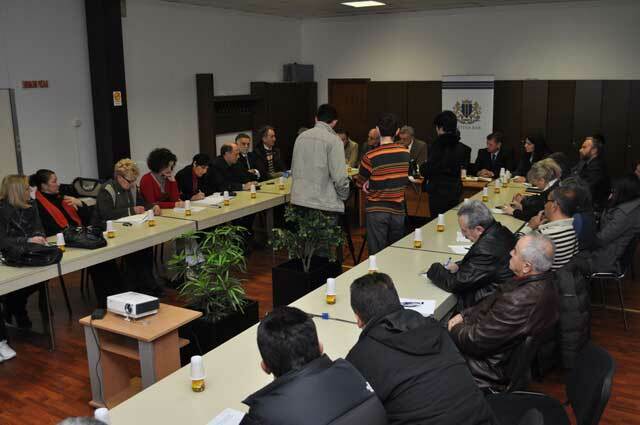 At the meeting held with the Mayor of Kotor Mrs. Catovic and her associates, cooperation on the implementation of project “Kavac” has been discussed. 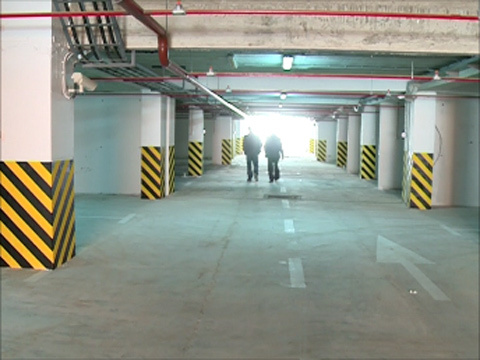 Apart from 1500 housing units, this project of utmost importance for the Municipality and its employees will include all the additional facilities, which will altogether constitute urban and functional unit. The next day, i.e. 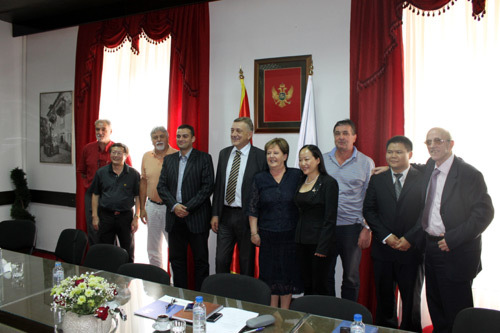 on Thursday, 20 September 2012, a meeting in the Municipality of Danilovgrad was organized, on which occasion the Mayor of Danilovgrad Branislav Djuranovic with his associates has acquainted the Chinese Delegation as well as representatives of the CFSSI and the Government with the investment environment in this Municipality. 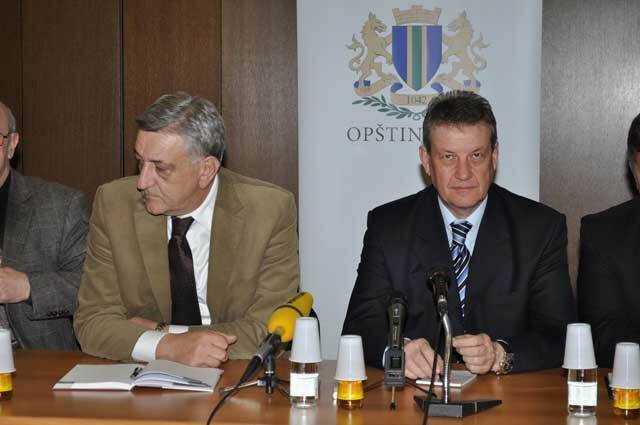 The Mayor has stressed the importance of drafting the new Spatial Planning Scheme, which will help create the preconditions for the beginning of the implementation of such an important project in the near future. 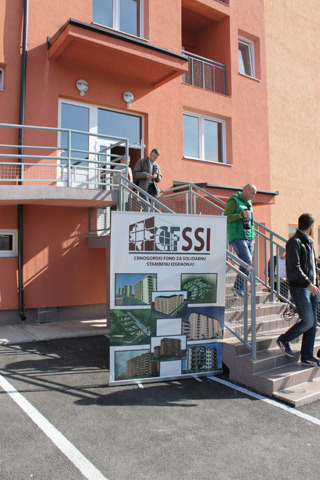 According to the CFSSI’s Chairman of the Board Danilo Popovic, this project envisages the accommodation of all categories of population which had not been able to resolve their housing issues previously as well as mixing of social groups within it. 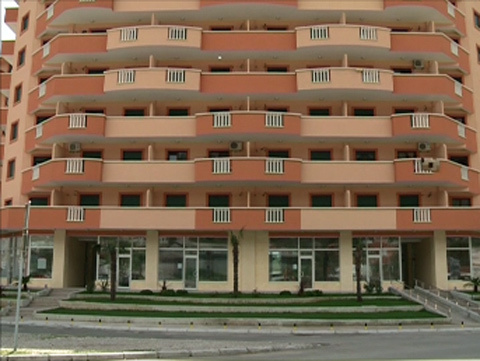 Future complex, i.e. 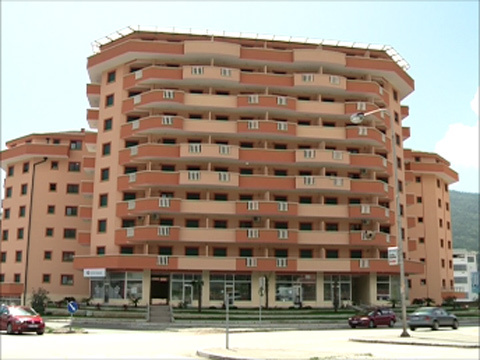 Eco-city will have optimal conditions for human living by world standards, crating thus numerous job opportunities. 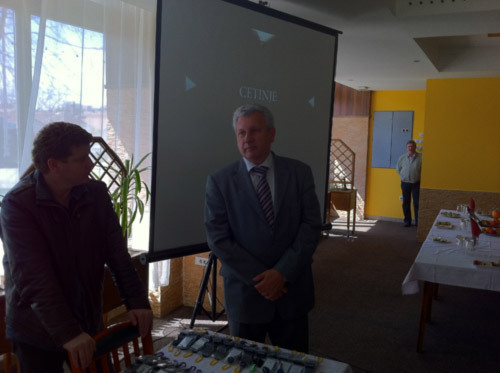 Moreover, the project will be developed by highest ecological standards, with maximum usage of renewable sources of energy, which will bring benefit to future tenants in terms of reducing costs of living and improving the quality of life. 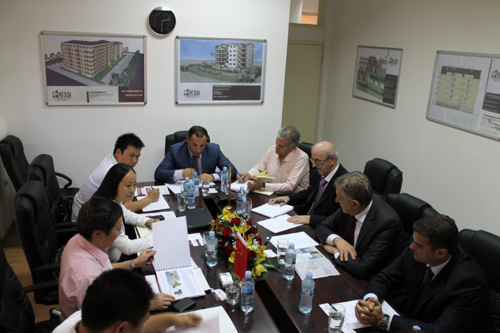 Representatives of CICET have shown their interest and willingness to start the cooperation with the CFSSI both on the above mentioned housing projects and the reestablishment of manufacture in Montenegro as well as the import of some high-quality building materials from China. 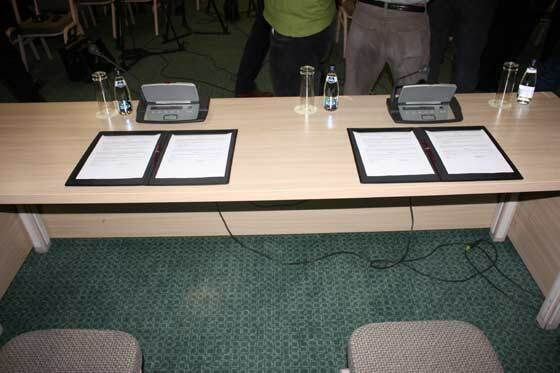 Through the Cooperation Protocol, which is its preparation phase, two parties will formally express their readiness to cooperate in future. 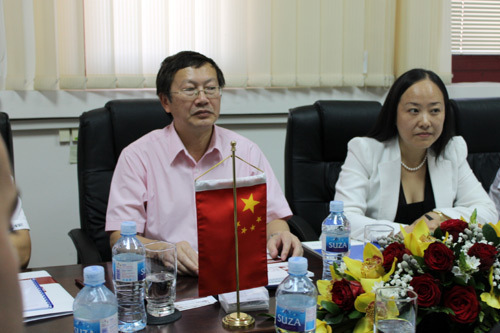 The China Development Bank has given its full support both to the projects and the cooperation between CFSSI and CICET, expressing its wish to be involved in these projects in terms of providing financing. 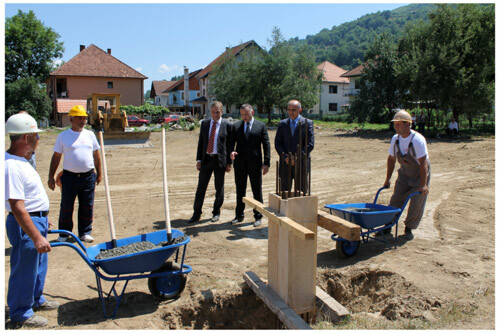 Danilo Popović, President of the Board of Directors of CFSSI, Aleksandar Žurić, Mayor of the Municipality of Bijelo Polje and Nikola Janjušević, Deputy Director of the Police Directorate have laid the foundation stone in the construction of residential and commercial complex in the urban centre “Nikoljac” in Bijelo Polje. 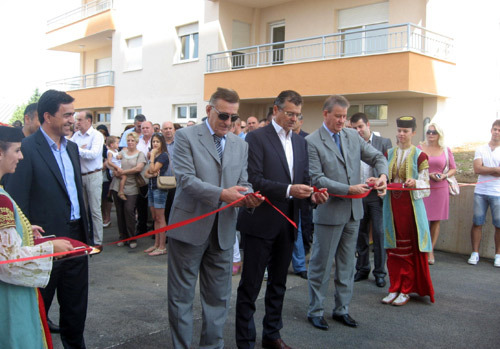 The complex consists of three buildings with total number of 140 housing units, jointly financed by the municipality of Bijelo Polje, CFSSI and the Ministry of Interior Affairs, the value of which exceeds EUR 6 million. 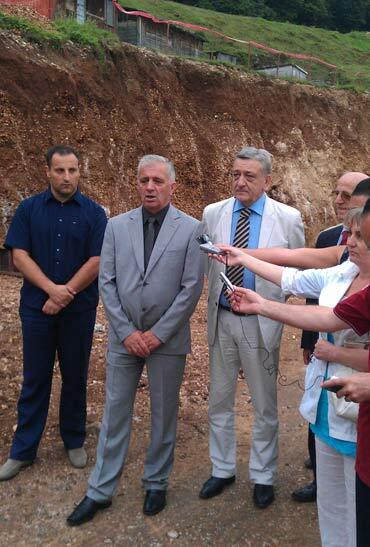 The Constructor will be a Consortium of companies from Bijelo Polje while the time of completion is 18 month. 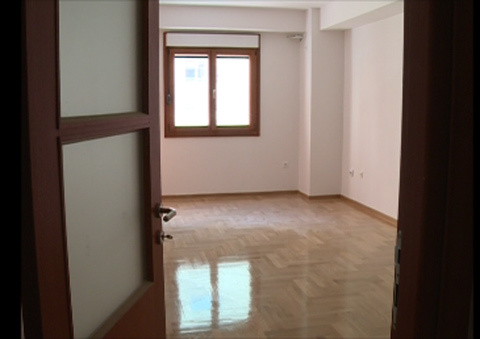 According to Mr. Popović, apartments will be modern and comfortable, fitted with central heating and constructed in high quality like all the other apartments built by the CFSSI so far. 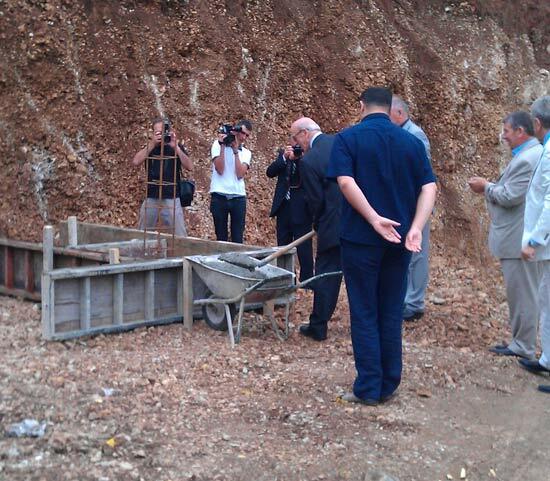 The ceremony of laying the foundation stone was attended by Tarzan Milošević, Minister of Agriculture and Rural Development, Zoran Masoničić, General Secretary of the Trade Unions Confederation and many others. 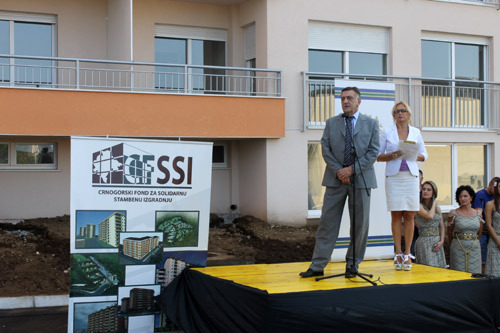 A ceremony was organized on occasion of the completion of solidarity building construction in Rožaje, during which Nusret Kalač, Mayor of the Municipality of Rožaje and Danilo Popović, President of the Board of Director of CFSSI handed over the apartments’ keys to future tenants of the building. 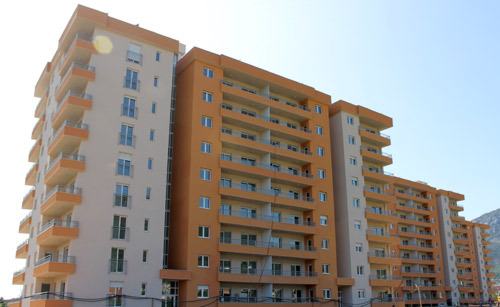 In the construction of this building, consisted of 54 housing units, EUR 1.7 million was invested, whereas the Municipality allocated the land and utilities free of charge. 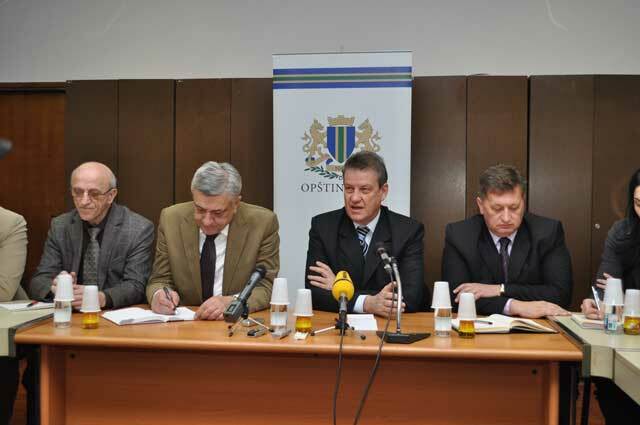 Mayor of the Municipality of Rožaje announced the continuation of cooperation with the CFSSI through the development of at least another building. 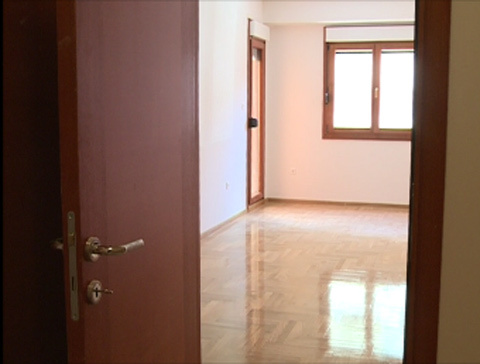 Boris Mihailović, Executive Director of CFSSI said that 22 families were given keys to apartments on this occasion and that the building is expected to be fully occupied by the end of summer. 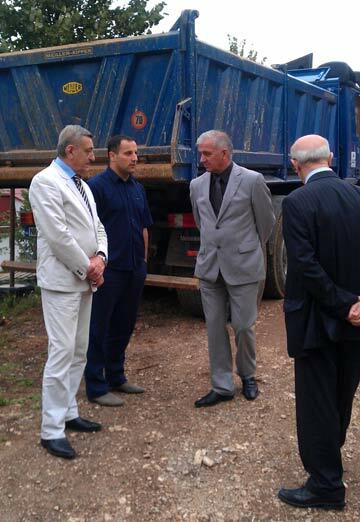 Mr. Danilo Popovic, Chairman of the Board of Directors of CFSSI, Mr. Lazar Radjenovic, Mayor of the Municipality of Budva, Mr. Ivan Mitrovic, member of the Board of Directors on behalf of the Montenegrin Employers Federation and Mr. Boro Markovic, owner of the construction company “Vjesnik”, which executed works on one of the buildings (“Lamella C”) addressed the attendees at the Conference and spoke about the cooperation between the Municipality and the CFSSI and the housing project itself. 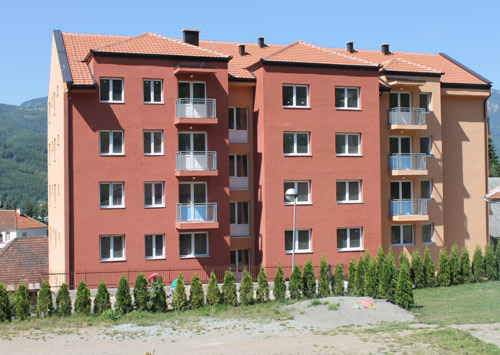 Housing units constructed within two buildings, i.e. 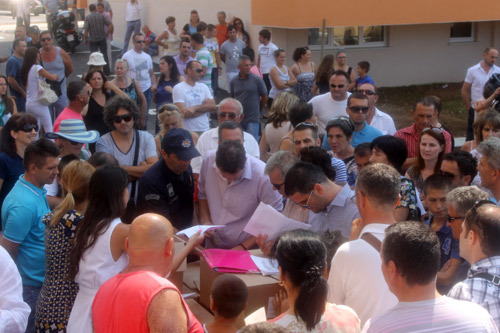 30 units in “Lamella B” and 77 units in “Lamella C” are intended for resolving housing issues of the employees in local and state institutions from Budva. 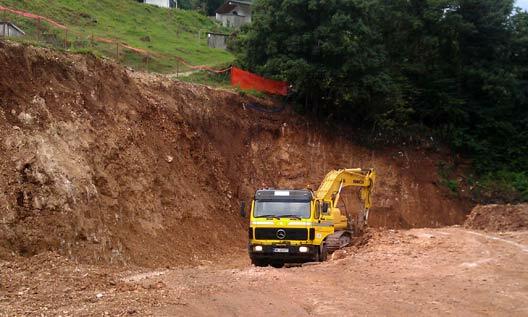 The Municipality allocated free land and infrastructure for their construction. 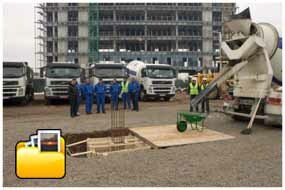 Buildings contain business premises for support activities, underground garage, their own generator in case of power outage, modern sprinkler systems and systems for aeration and smoke elimination as well as standard and state of the art equipment. 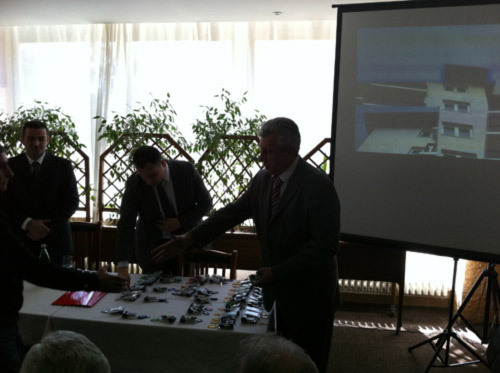 Investment value amounts to EUR 5.5 million. 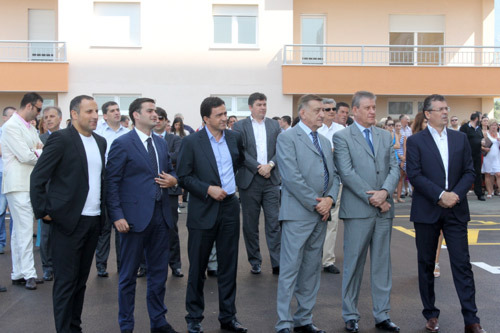 Construction of another building containing 131 housing units was announced at the Conference, after which the attendees and the representatives of media visited together the newly constructed buildings. 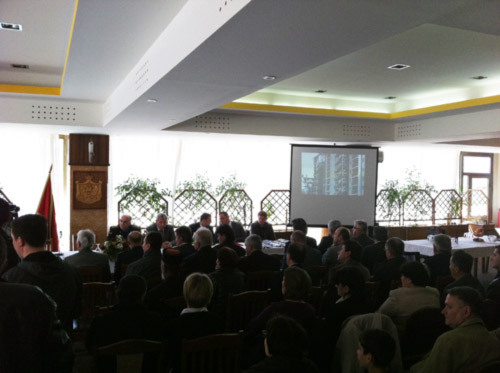 Management of the Montenegrin Fund for Solidarity Housing Development and NLB Montenegro Bank held a meeting today in Bar with the representatives of local administration bodies, public institutions and companies from the territory of the Municipality of Bar, on which occasion NLB Bank presented its offer for granting housing loans to future beneficiaries of solidarity dwellings that are being built within the residential complex in Topolica-Bjelisi, Bar. 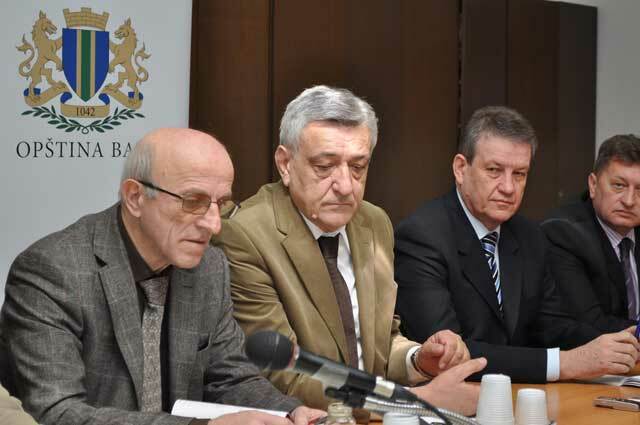 NLB Bank offered the potential purchasers the possibility of obtaining housing loans for a period of 20 years, at 5% interest rate plus Euribor, which at the moment amounts to 6.625% or interest rate fixed at 7.5% per year. 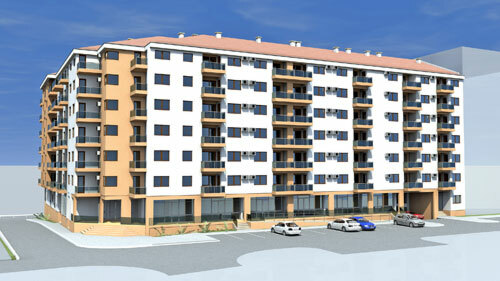 Residential complex containing three buildings with 270 apartments represents one of the major projects in the Municipality of Bar, which will provide the employees from its territory with the opportunity to resolve their housing issues under favorable conditions with prices per square meter of up to EUR 780. 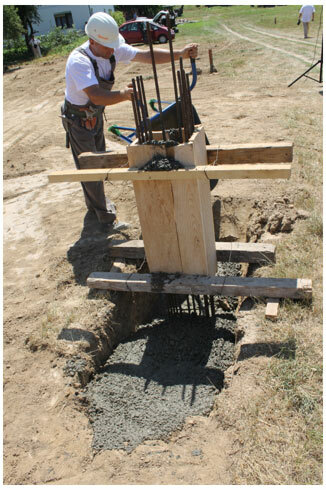 Buildings will be of high quality, constructed in accordance with the highest ecological and energy efficiency standards. 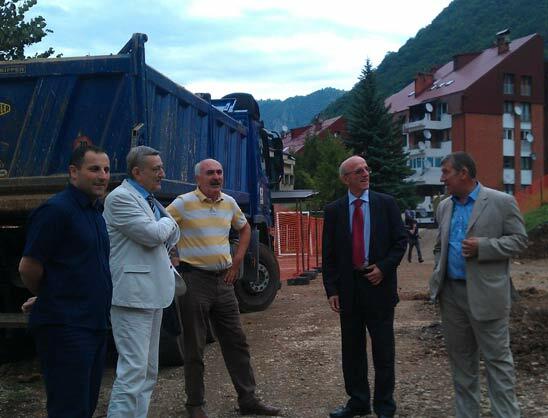 After the meeting, all the attendees, together with the representatives of the contractor, Consortium of companies “Celebic” and “Zetagradnja” and the representatives of media, visited the construction site. 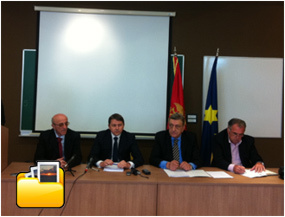 Cooperation Protocol on the establishment of Housing Savings Bank between the Italian Infogroup and the Montenegrin Fund for Solidarity Housing Development (CFSSI) was signed today by Mr. Paolo Renzi, General Director of Infogroup and Mr. Danilo Popovic, President of the Board of Directors of CFSSI. 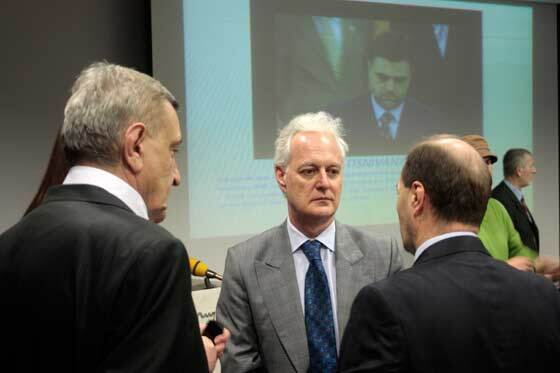 In addition to Mr. Renzi, the Italian delegation included Mr. Gianpaolo Moscati, Vice President of Infogroup, Mr. Bruno Giannoni, Sales Manager at Infogroup, Mr. Alfredo Pasquinelli, President of Sempla, Mr. Riccardo Parasporo, representative of Banca Intesa Beograd and Mr. Piero Papini, representative of TT&T Consortium. 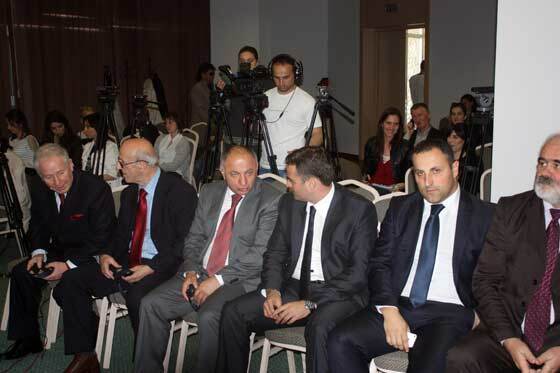 In addition to Mr. Popovic, CFSSI delegation included Mr. Boris Mihailovic, Executive Director and Mr. Mijat Mijatovic, Advisor of President of the Board of Directors. 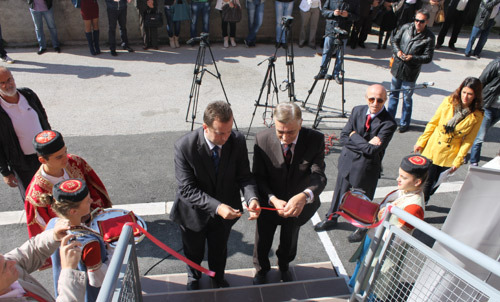 Addressing the guests, the Ambassador of Italy, Mr. Sergio Barbanti emphasized his support to this project and promised to make efforts to further develop and intensify the economic cooperation between Italy and Montenegro. 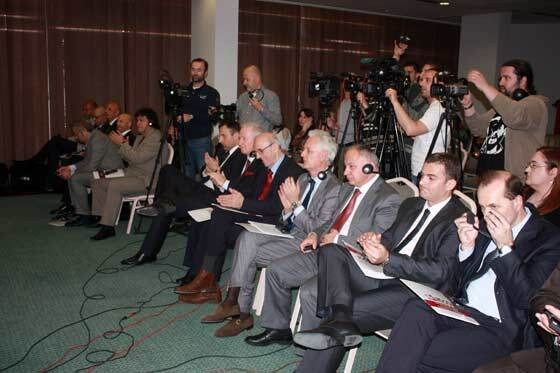 The event was attended by Mr. Vujica Lazovic, Vice-President of Government, Mr. Suad Numanovic, Minister of Labour and Social Welfare, Mr. Giulio Moreno, Chief of Office of EBRD in Montenegro, members of the Board of Directors of CFSSI, representatives of Trade Union Confederation and many others. 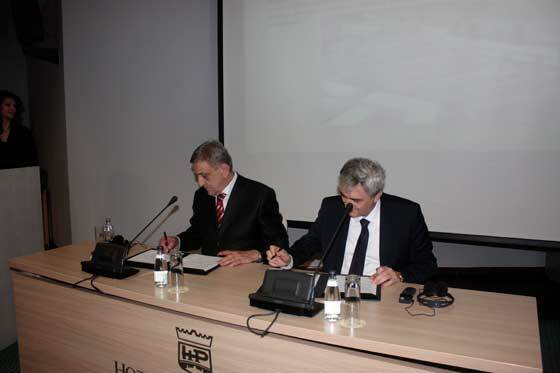 By signing the Cooperation Protocol, the first step was made towards launching the project of establishing the first Housing Savings Bank in Montenegro, following models of the developed European countries. 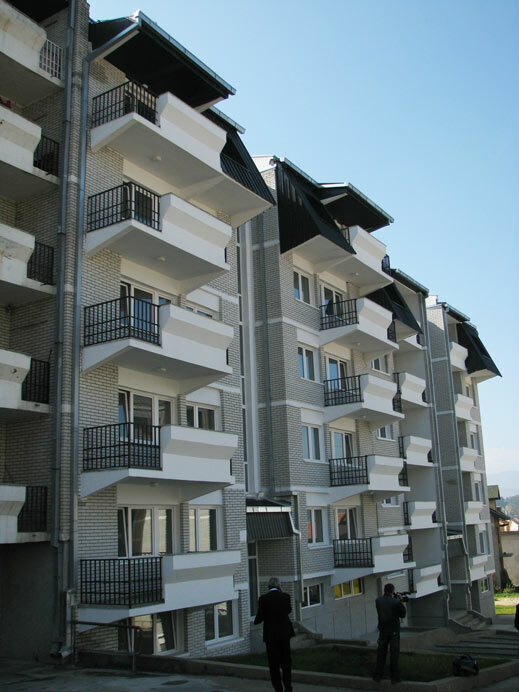 Housing Savings Bank will organize special-purpose collection of deposits from natural and legal persons and after the expiry of two-year savings period grant loans for purchasing or furnishing apartments as well as maintaining the existing housing fund. 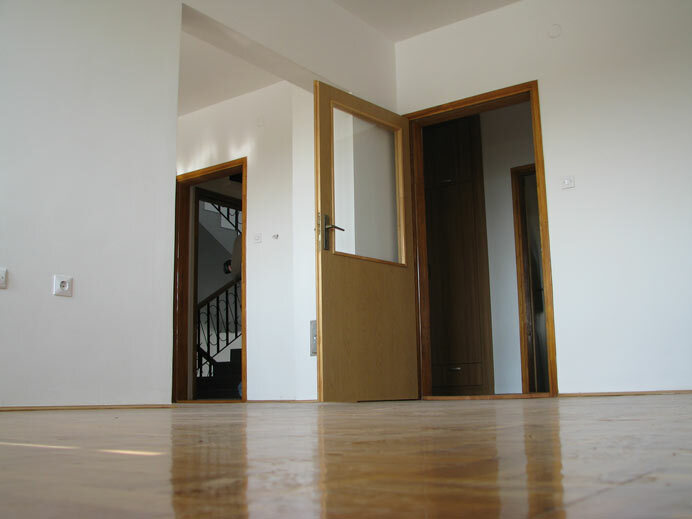 Housing loans will be granted under conditions more favorable than those currently offered by the financial institutions. 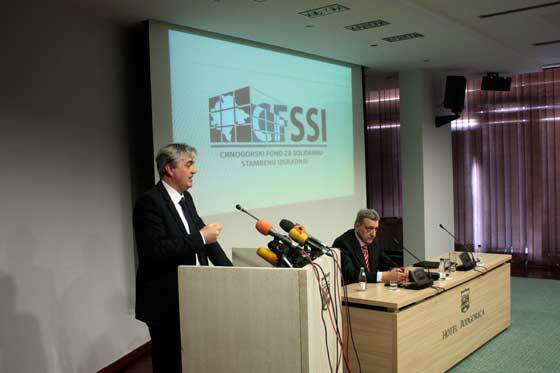 It should be emphasized that both the Government of Montenegro and the Central Bank support this project and offered a great deal of support to CFSSI while preparing the Draft Housing Savings Bank Act, which will be passed soon. 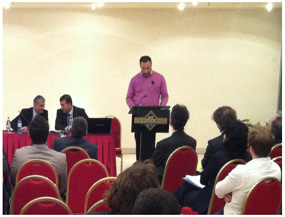 At the invitation of the National Social Housing Association (NSHA) of Armenia, the representative of the Montenegrin Fund for Solidarity Housing Development (CFSSI) – Mr. Boris Mihailovic, Executive Director attended the International Conference on Social Housing named „Partnership for Social Affordable Housing“, held on 21 and 22 March 2012 in Yerevan, Armenia. 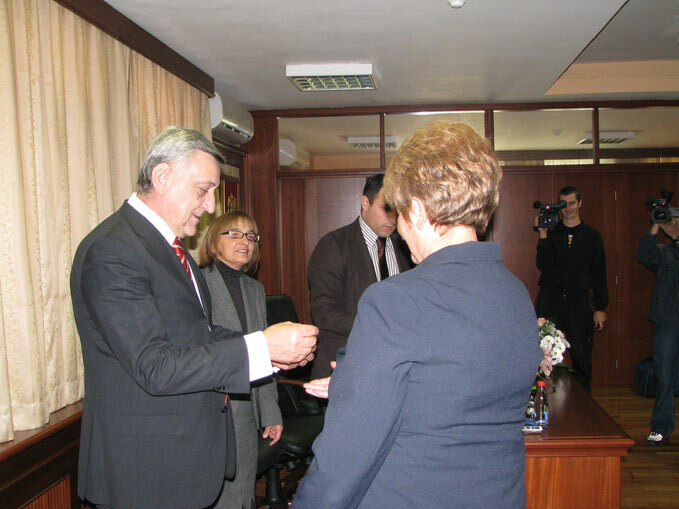 Cooperation between CFSSI and NSHA began last year through DIGH (Dutch International Guarantees for Housing) and CECODHAS (European Liaison Committee for Social Housing) who recommended their colleagues from Armenia to visit Montenegro and get acquainted with the activities performed by CFSSI in the field of social housing. 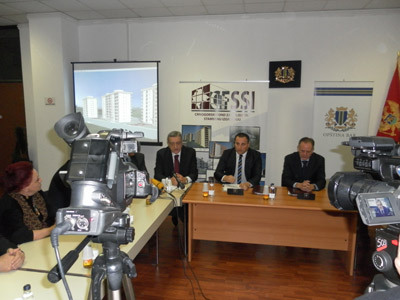 After the visit, the colleagues from Armenia showed their interest for the model of affordable housing provision implemented by CFSSI what was followed by the invitation to the above-mentioned Conference. 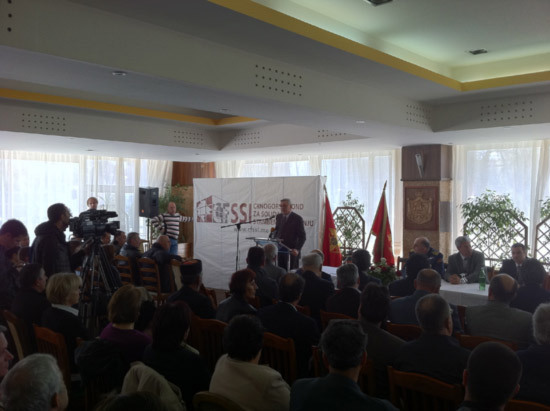 At the Conference, the CFSSI’s representative gave a presentation on the topic „The Role of Public-Private Partnership in Social Housing in Montenegro“. 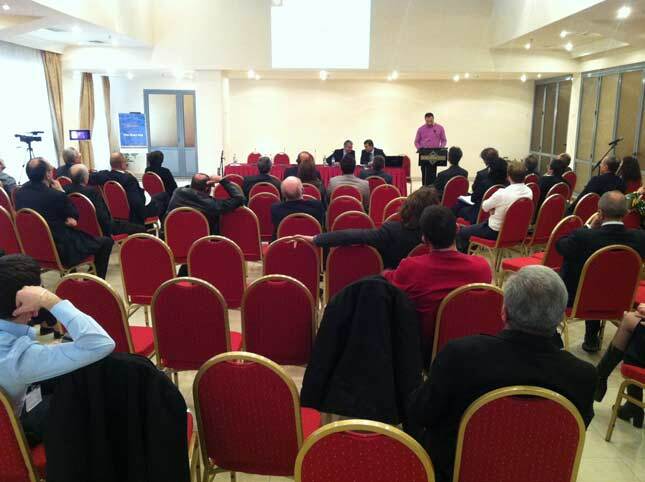 The Conference was attended by all the relevant social housing associations both from the EU and Central and Eastern Europe. 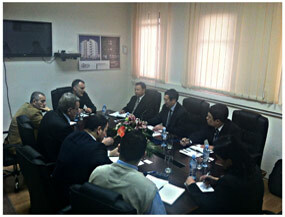 China Development Bank’s delegation, led by Lei Yueng, Director for Serbia and Montenegro has visited the Montenegrin Fund for Solidarity Housing Development, on which occasion Danilo Popovic, President of the Fund’s Board of Directors with his associates presented them the role of the Fund in Montenegro, as well as carried out and planned projects. Representatives of the China Development Bank said that this financial institution is ready to be Fund’s partner in the field of solidarity housing development and that they will consider all the opportunities for cooperation. While presenting their institution, the guests emphasized that China Development Bank ranks first with regard to financing of development projects in China, Eurasian continent and the world. It disposes of 63 billion Yuan of capital and up to this year invested 210 billion USD in development projects all over the world. 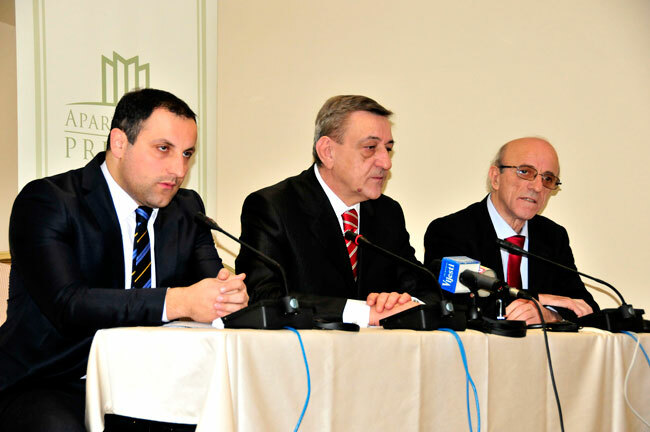 The Bank is mainly involved in the implementation of infrastructure and energy industry projects, with special emphasis on renewable sources of energy. 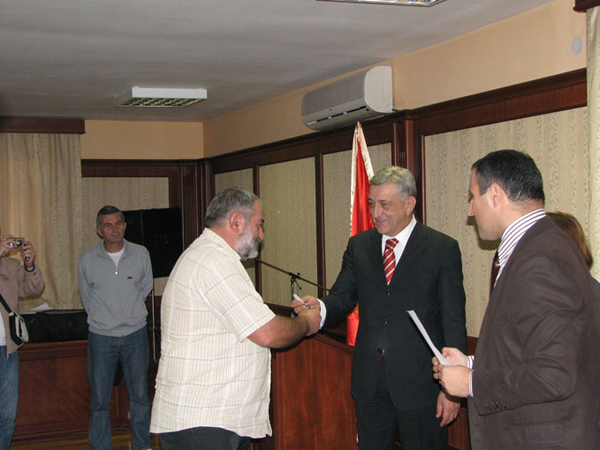 It also deals with commercial affairs, carefully choosing partners with whom it initiates the implementation of development projects. 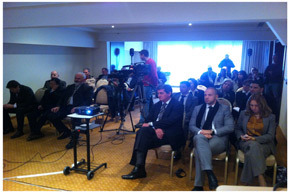 The guests positively assessed the idea of CFSSI to connect domestic contractors with related companies from China. 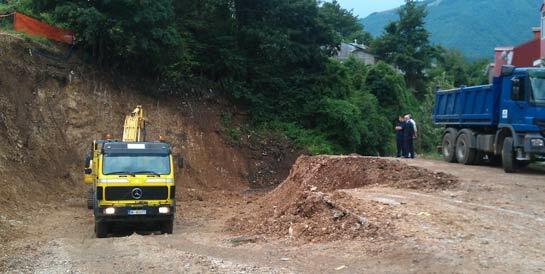 They consider very important to connect Chinese manufacturers of high-quality building materials with Montenegrin, since products of low quality appear on the local market, which is why an image of low standards of Chinese industry is being created. 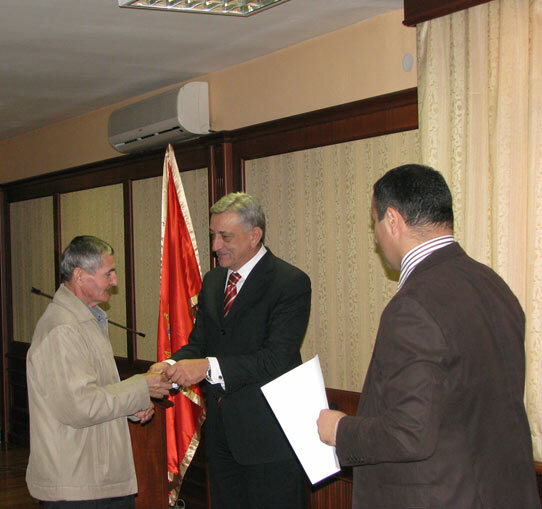 They assessed the presented projects as very interesting and indicated that the support of the Government would be significant for the involvement of China Development Bank in them, since the Government presents the third equal co-owner of the Fund besides the Trade Union and the Employers Federation. 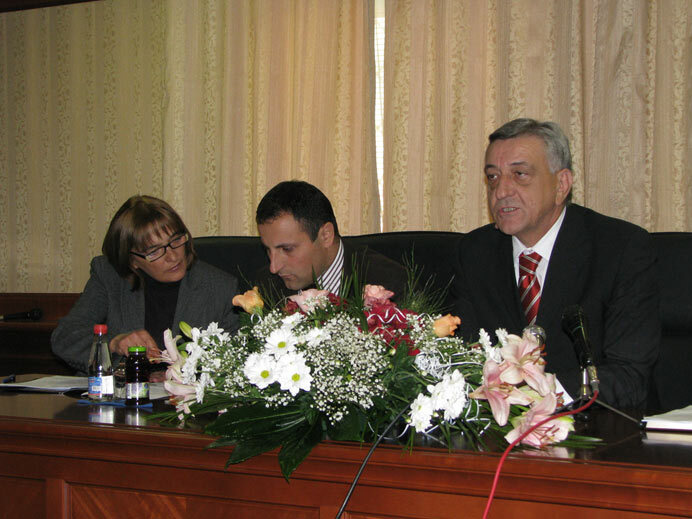 Danilo Popovic, President of the Board of Directors informed the guests that the Fund has developed more than 1000 apartments in all Montenegrin Municipalities since its establishment; moreover, it initiates the construction of three buildings with 270 apartments in Bar and a building in Budva and plans to develop ecological estates in the coast and inland, as well as a residential complex on the location between Podgorica and Danilovgrad. 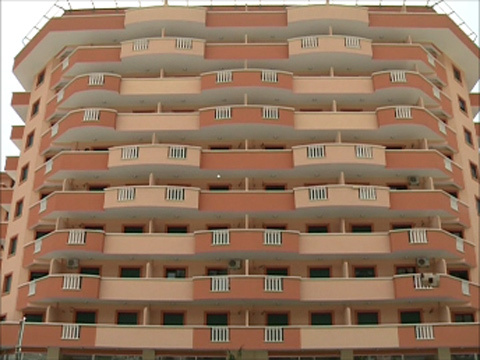 This complex would consist of three units. 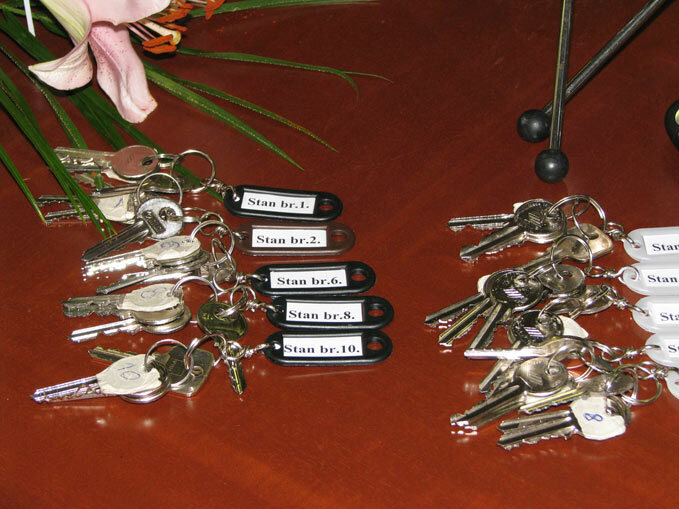 The first two would include different classes of apartments, from lower to higher class in relation to market prices and the third unit would represent so called “diplomatic estate”, intended for the most demanding buyers. 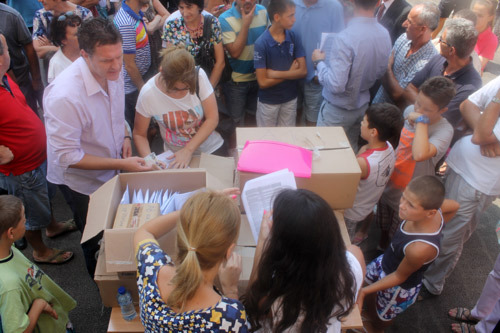 The entire complex would have all the ancillary services and facilities, starting from parking lots to schools, kindergartens, tertiary industry, business centers and pools. 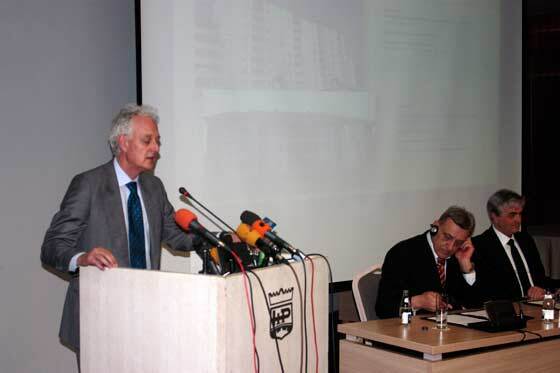 He explained that all the apartments are being built under the highest European standards, adjusted to the climate and environment in which they are located, with special emphasis on the energy efficiency. 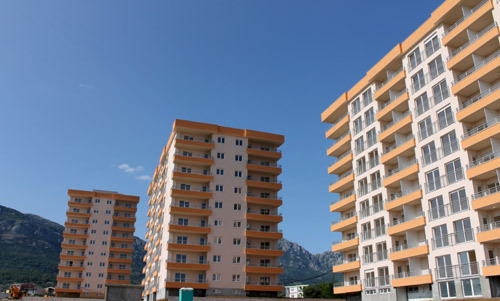 Furthermore, he pointed out that these apartments are being sold at prices 40 to 50 percents lower than those of market, since the resolution of housing issue for as many Montenegrin citizens is the objective of the Fund’s founders. China Development Bank and the Fund both basically confirmed their readiness to start the cooperation and agreed to submit the projects with detailed information to the competent authorities. 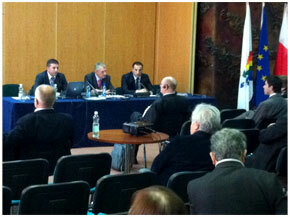 China Development Bank has not been present in Montenegro up to date. 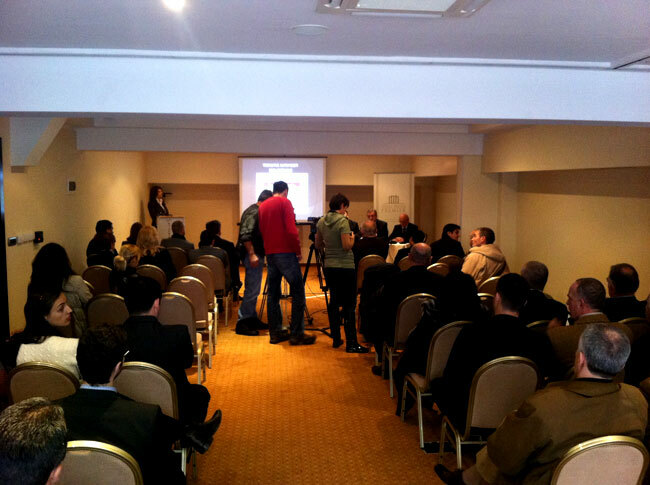 Round Table “Energy Efficiency Improvement in Construction Industry in Montenegro”, as a part of IPA Project “EU Build Energy Efficiency” was held today in Podgorica in organization of the Montenegrin Employers Federation (MEF). 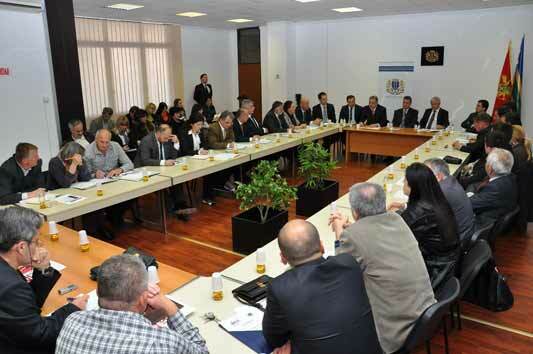 In addition to the representatives of MEF, Turkish Building Material Producers Association (IMSAD) and the Economic Department of Turkish Embassy in Montenegro, Round Table was also attended by the representatives of CFSSI and other companies operating in the construction industry. 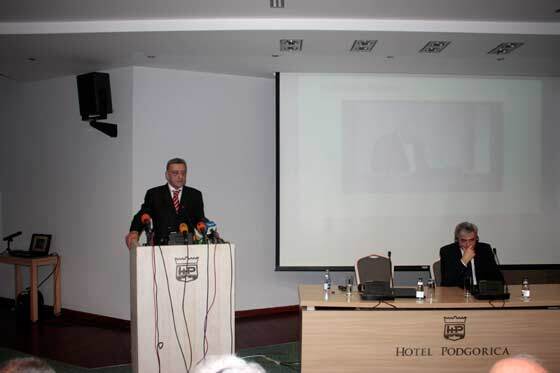 It was said on this occasion that energy efficiency, being a “number one” resource, represents one of the most effective ways to improve security of energy supply, reduce import dependence as well as emissions and other pollutants, therefore investing more strongly in the development of financial instruments and mechanisms that can help improve the overall energy efficient products and methods in the construction industry is of particular importance for the future. 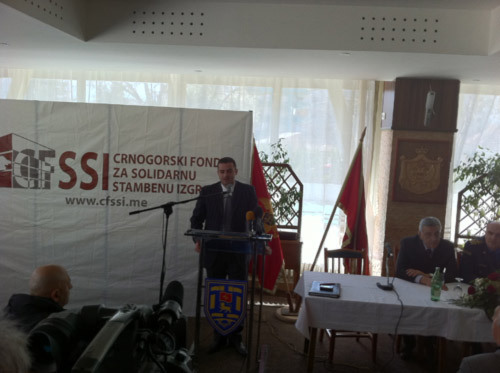 On Tuesday, 20 December 2011, the Montenegrin Fund for Solidarity Housing Development (CFSSI) organized a Reception to mark the start of a New Year and announce its future projects. 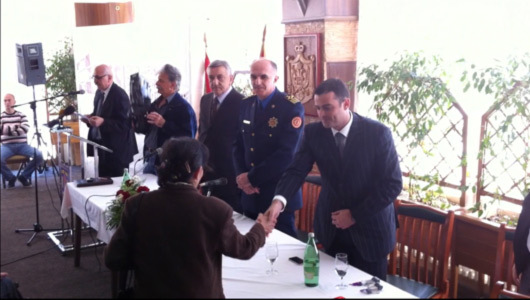 Montenegrin Government officials, Mayors of the Municipalities, representatives of the Diplomatic Corps in Montenegro, Montenegrin Employers Federation and Trade Union, CFSSI’s business partners and eventually the representatives of media were all invited to attend this Reception. 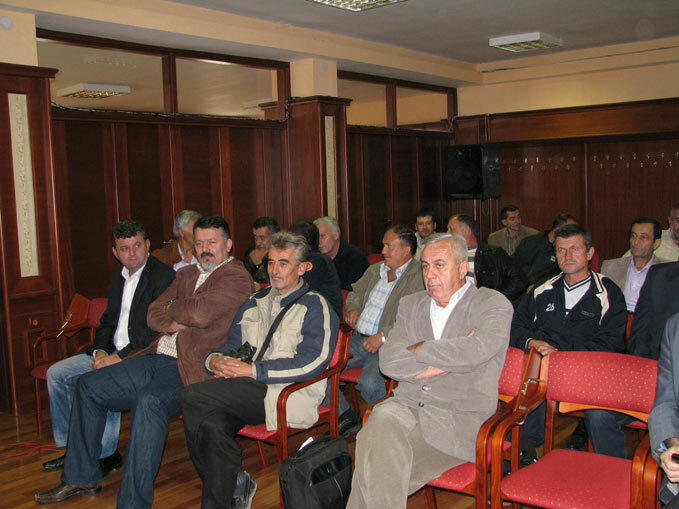 After presenting previous results, current activities and projects planned for 2012, CFSSI arranged a casual cocktail party as well. 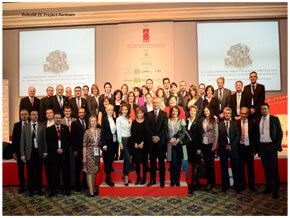 Montenegrin delegation, led by the Employers Federation, including the representatives of construction, banking and NGO sector, as well as Ministry of Sustainable Development and Montenegrin Fund for Solidarity Housing Development, has attended the Third International Quality in Construction Summit, organized within IPA Project “EU Build Energy Efficiency” from 20 to 24 November 2011 in Istanbul, by the Turkish Building Material Producers Association (IMSAD). 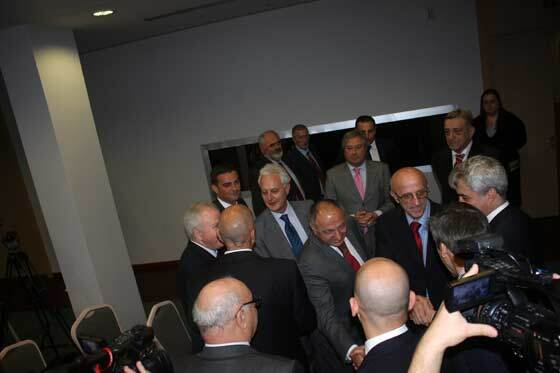 Finding mechanisms for a more quality implementation of energy efficiency in the construction sector was one of the main themes of the Summit, during the course of which the Declaration on Energy Efficiency has been signed after all the participating countries agreed on its contents. 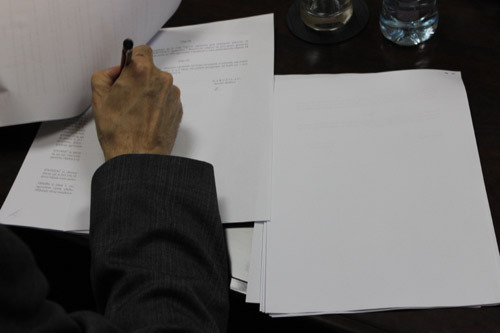 The Agreement by and between the Montenegrin Fund for Solidarity Housing Development and Consortium of companies Celebic Ltd and Zetagradnja Ltd has been signed today in Bar, on the basis of which, three residential buildings containing 270 apartments will be developed in this Municipality. 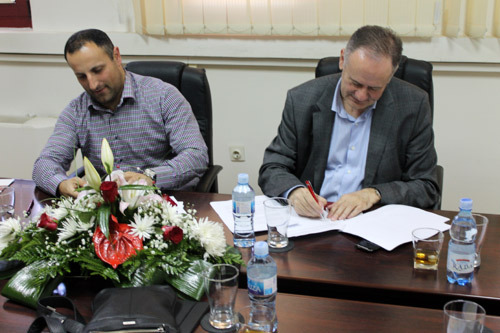 Executive directors Boris Mihailovic and Milasin Borovic signed the Agreement on behalf of the Montenegrin Fund and Consortium respectively. 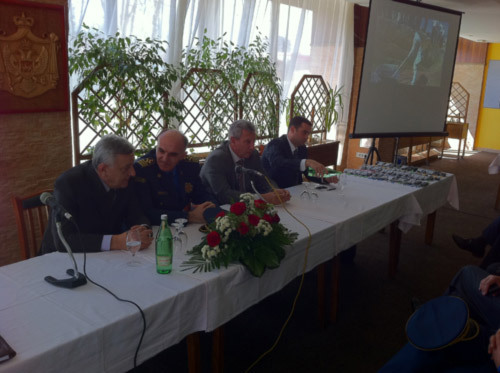 This event has been attended by the Mayor of the Municipality of Bar, Mr. Zarko Pavicevic, President of the Board of Directors of the Fund, Mr. Danilo Popovic, Deputy Minister for Sustainable Development and Tourism, Mr. Danilo Gvozdenovic, Director of the Directorate for Public Works, Mr. Zarko Zivkovic, as well as the representatives of Employers Federation, Trade Union, Municipal Trade Union Committee of Bar and companies from Bar that will provide apartments for their employees in theses buildings. 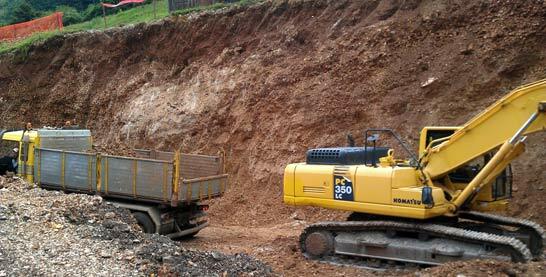 Each of the three buildings will contain 90 one-bedroom and two-bedroom apartments. 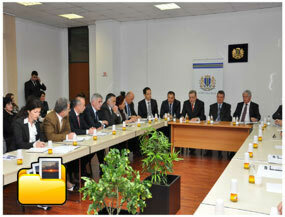 Time of completion of buildings will be 16 months. 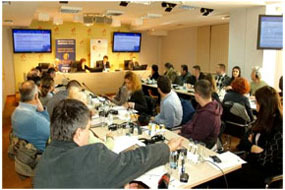 CECODHAS Housing Europe organized a Conference on Social Housing, which was held from 19 to 21 October 2011 in Warsaw. Among the attendees at the Conference was a representative, i.e. 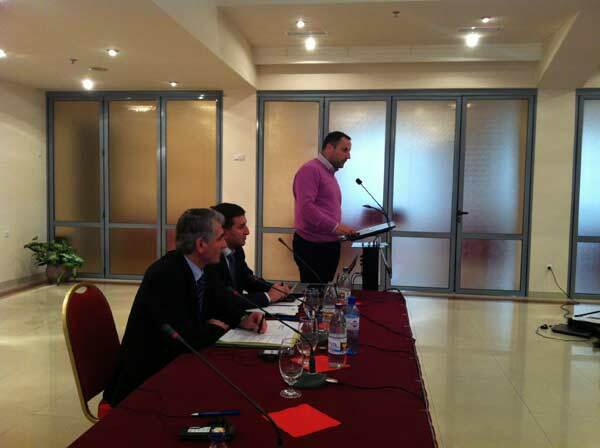 the Executive Director of the Montenegrin Fund for Solidarity Housing Development (CFSSI) as well. 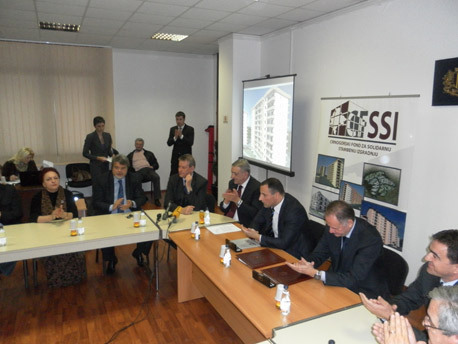 Within the thematic seminar “Models to Develop Affordable Housing”, he held a presentation on the activities in this field that are carried out by CFSSI, which represents the first institution in this region of Europe to resolve housing problems in such a manner. 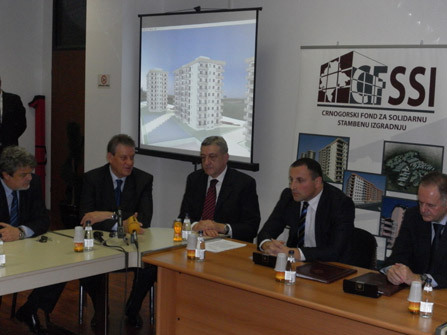 On this occasion, CECODHAS has acknowledged the significance of CFSSI once again, emphasizing its example of housing policy as an important contribution for the countries in this region. 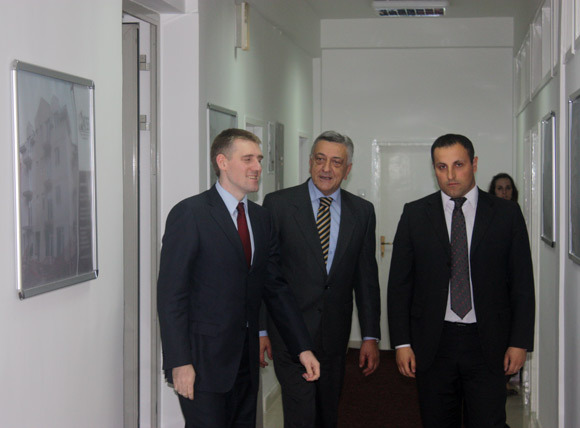 Montenegrin Prime Minister, Mr. Igor Luksic has paid a visit to the Montenegrin Fund for Solidarity Housing Development, where he had discussions with the Management of the Fund. 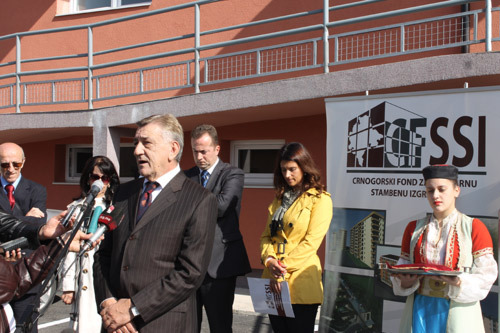 President of the Board of Directors, Mr. Danilo Popovic acquainted the Prime Minister with the past activities as well as plans of the Fund, whose goal is to enable solving housing issues to its clients in a quality manner and under favorable conditions . 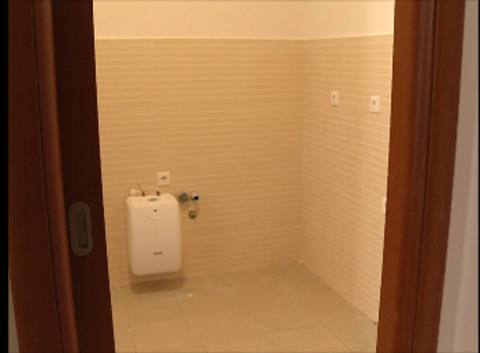 Popovic pointed out the fact that the Fund, in cooperation with local governments, has carried out so far the construction of 1000 housing units in almost all municipalities in Montenegro and announced that almost the same number of units is scheduled for construction by the end of the year. 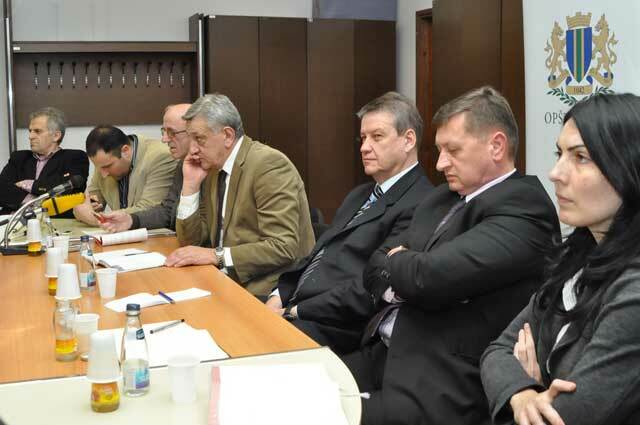 “These results prove the justifiability of the partnership of Government, Trade Union and Employers Federation”- Prime Minister Luksic said. 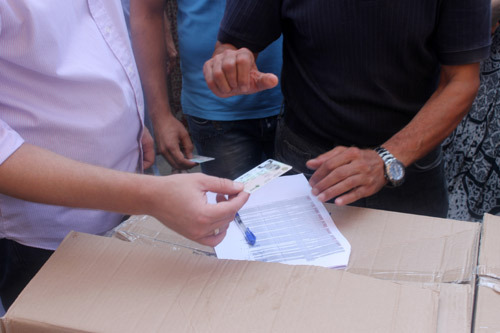 In this context, he pointed out the further need to address one of the fundamental and existential issues both for the employees in public administration and private sector. 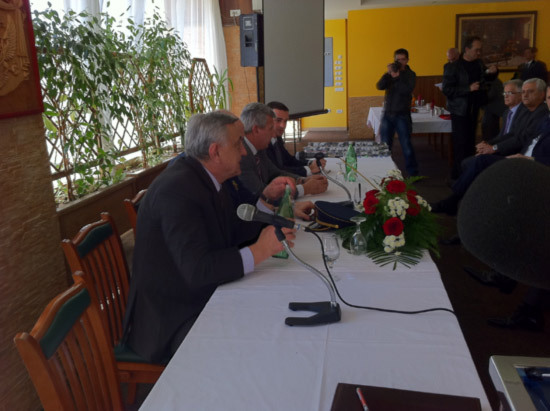 Prime Minister Luksic said that special attention should be given to providing housing facilities for pensioners, having regards to their inability to borrow on commercial lending criteria. 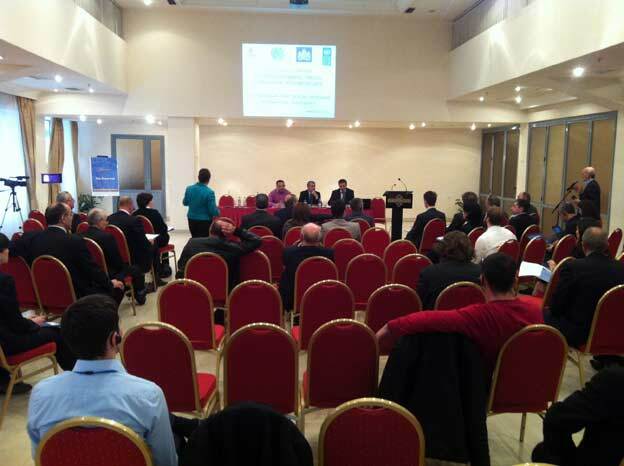 What is assessed as very important is the fact that buildings will be constructed in accordance with environmental standards and energy efficiency principles with an extremely high quality of construction, which will contribute to comfort and reduction of costs of living for future clients of the Fund. 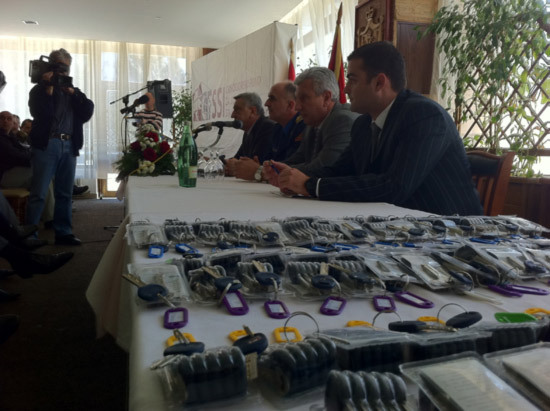 In the presence of President of the Municipality of Niksic, representatives of CFSSI and other guests, the ceremonial delivery of keys has been organized today at noon, in the Sports Center in Niksic. 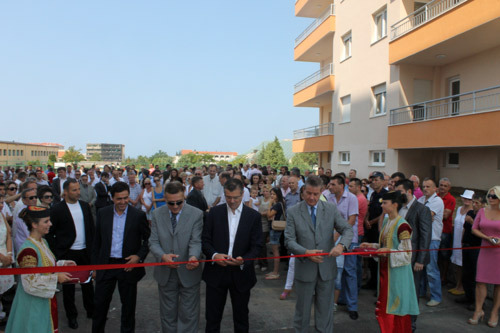 Building containing 85 housing units had been constructed through the partnership of CFSSI and local administration, while the keys to apartments have been delivered to the employees of the Municipality, Ministry of Internal Affairs, Hospital and several other institutions and companies from the territory of the Municipality of Niksic. 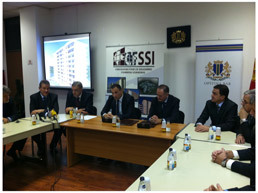 Further cooperation of CFSSI and Municipality on development of another residential building has also been announced. 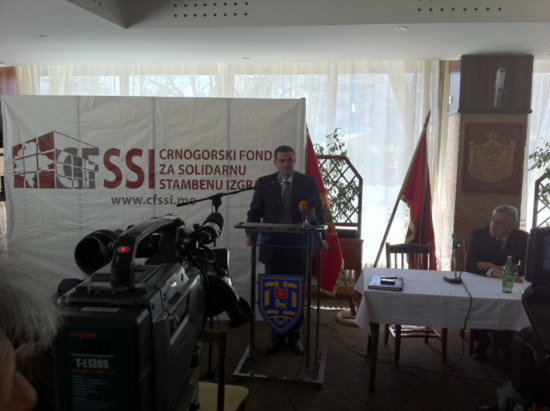 Press Conference was convened by the Municipality of Bar, Municipal Trade Union Committee of Bar (OSP Bar) and CFSSI, with the aim to present the project of solidarity housing development for meeting the needs of employees in Bar. 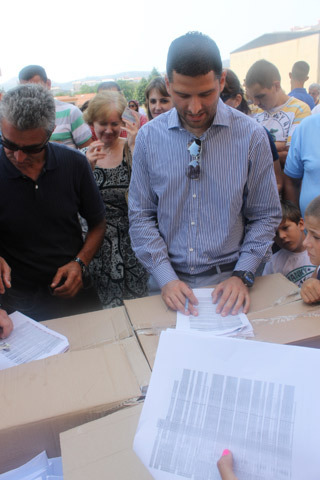 Municipality of Bar has allocated three urban parcels, as follows: A8, A9 and A10, within Detailed Town-planning Scheme (DUP) “Topolica-Bjelisi” in Bar for the above mentioned purpose, according to the selection procedure of the public tender. 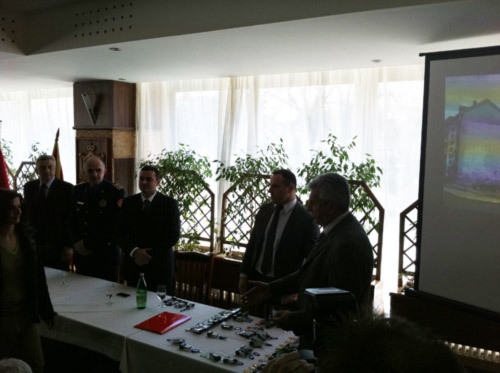 OSP Bar and CFSSI had organized drafting of project documentation, which was awarded to “Ing-Invest” from Danilovgrad and “Planet Cluster” from Madrid. 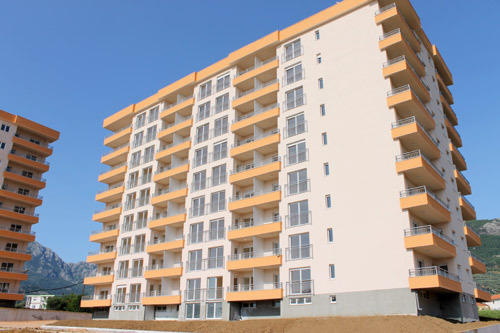 The intention of the investor is to construct energy-sustainable residential buildings by using renewable sources of energy, where the emphasis is placed on the application of solar systems, since Bar is town with the greatest number of sunny days in this region. 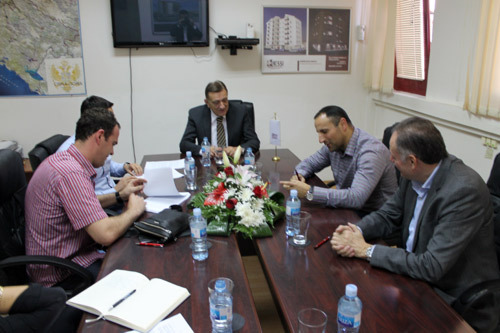 It was agreed that companies should express their needs in structure and number of apartments and that OSP Bar and representatives of the Municipality of Bar and CFSSI should organize the allocation of apartments. 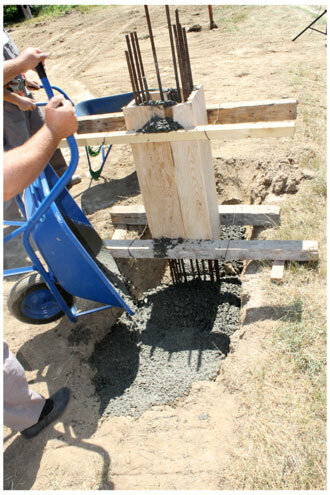 Start of construction is scheduled for august 2011, and the completion of all three buildings parallel in 18 month. 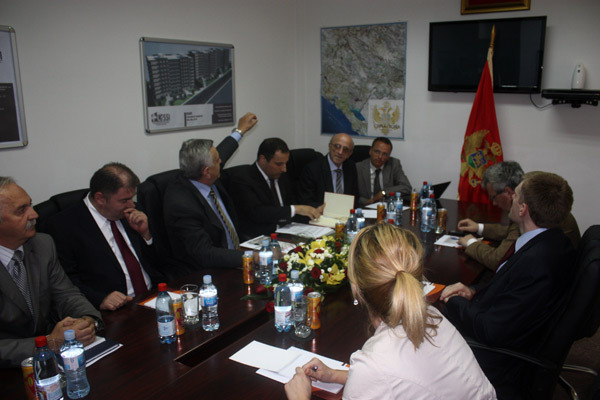 Agreement on development of two buildings on Tuski put, in the warehouse zone, for the purpose of meeting the needs of employees from the territory of Podgorica, has been entered into by and between the representatives of the Montenegrin Fund for Solidarity Housing Development and Municipal Trade Union Committee of the Capital city. 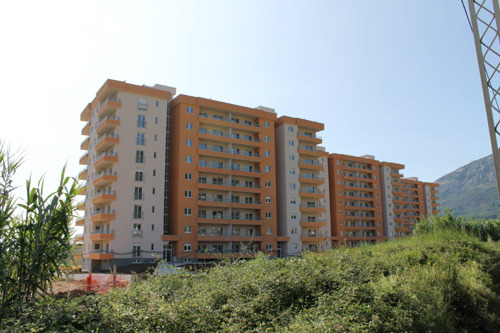 Between 150 and 180 apartments will be constructed on that location at the price of 650-700 euros per square meter, and tender for selection of contractors will be invited by 1 May followed by laying of foundation stone. 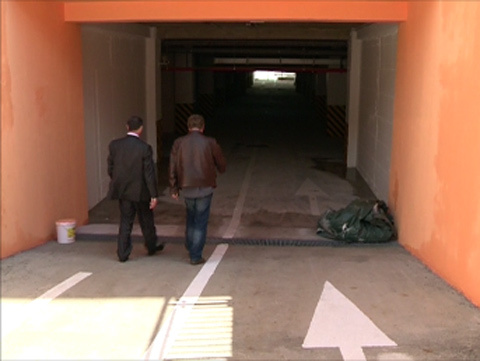 Time of completion of both buildings is 15 month. 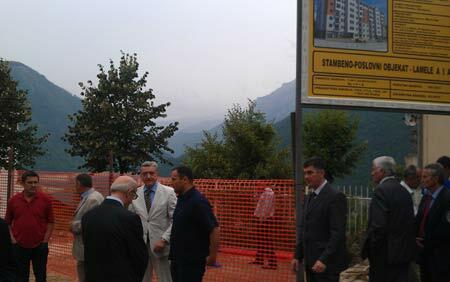 Kotor – The Montenegrin Fund for Solidarity Housing Development will develop a housing estate in Kotor with capacity to house three to four thousand residents, at the location which has been allocated to the state institutions by the Municipality with the consent of the Local Parliament Councillors by the end of 2008. 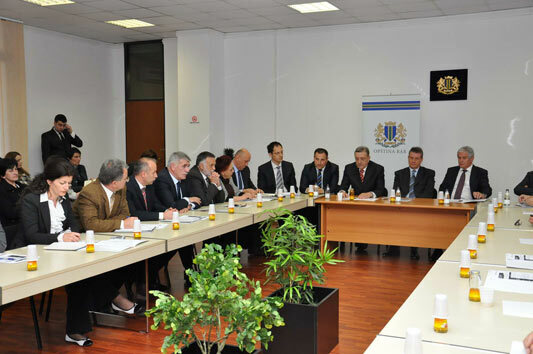 At the meeting initiated by the Mayor Marija Catovic and the representatives of the Fund and state institutions, it has been agreed to start joint project of developing housing estate, where all the interested parties could solve their housing issues, at the most favourable prices. 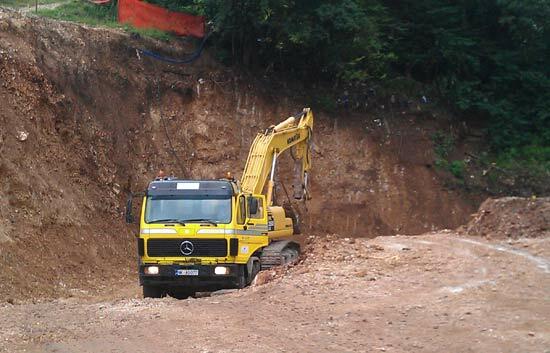 The location of the future housing estate is within the cadastral municipality “Dub” near the “Vrmac” tunnel, where the Municipality of Kotor allocated land, totalling 16,304 m². 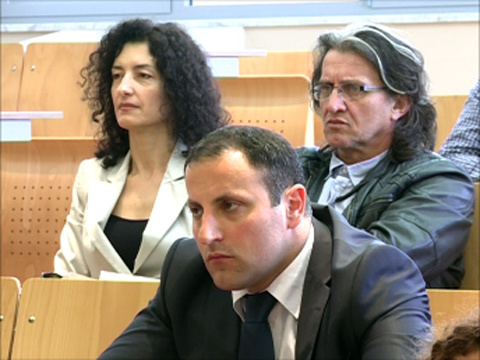 The Customs House obtained 1,597 m² of land, Municipal Trade Union obtained 2,209 m², General Hospital 4,585 m², Medical Centre 1,508 m², Ministry of Education 2,390, Police Directorate – branch office Kotor 4,585 m², Agency for National Security 1,799 m² and Basic Court in Kotor obtained 726 m². 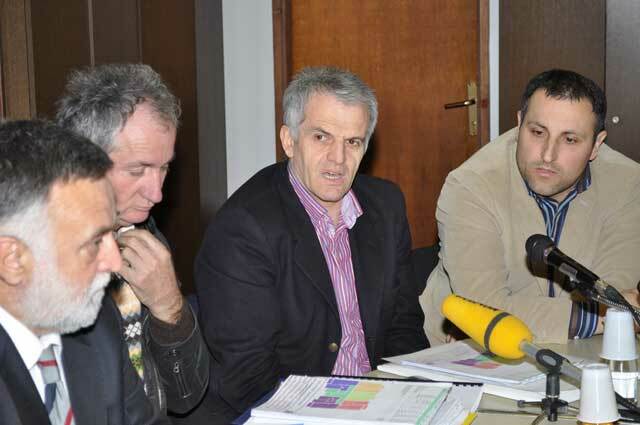 Catovic said that almost all representatives of the institutions that obtained building plots from the Municipality agreed to enter the project, thus the representatives of certain state institutions have already entered into the agreement with the cooperative on development of solidarity apartments. 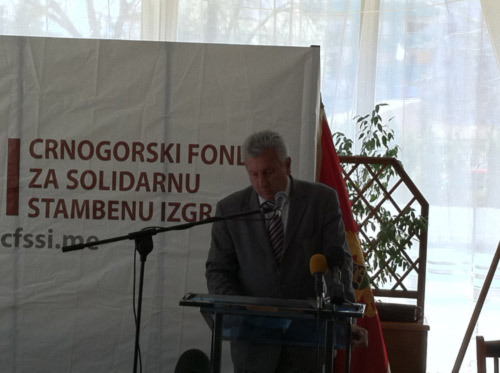 Mr. Danilo Popovic, President of the Board of Directors of the Montenegrin Fund for Solidarity Housing Development said that the Fund has around 3,250 members and that it provided building plots for this purpose in every town in Montenegro. 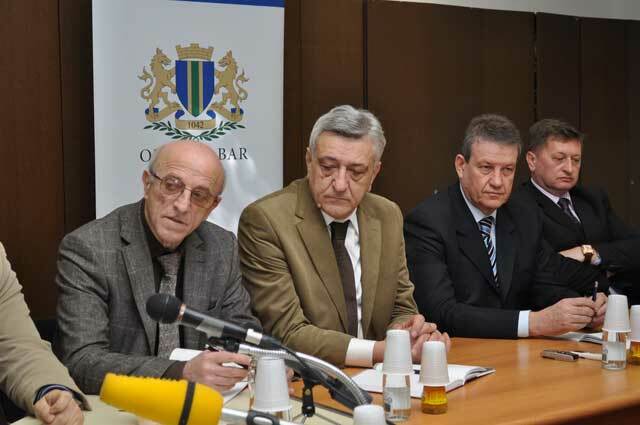 He also said that the location in Kotor is a location of top quality. 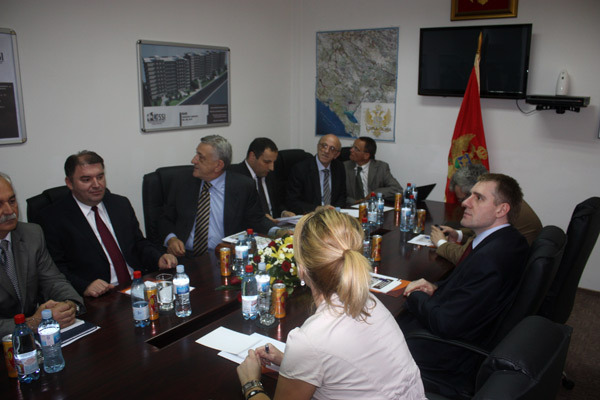 Today, the representatives of the Montenegrin Fund for Solidarity Housing Development and the Erste Bank have entered into the Agreement on business cooperation, which should provide more favourable conditions for funding construction and crediting purchase of apartments. 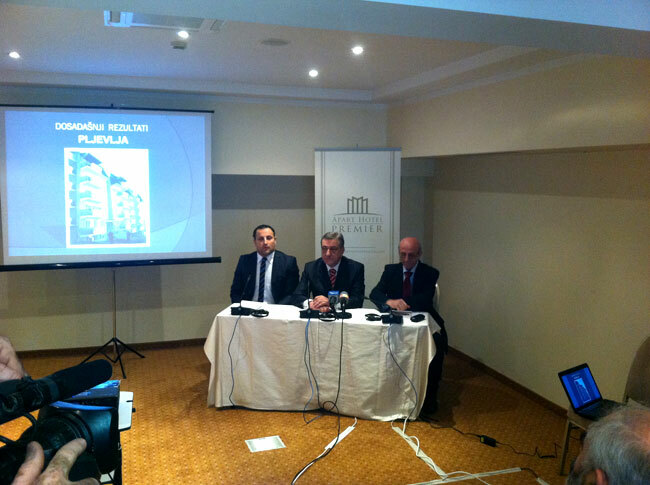 Representatives of the Fund and the Bank said that the Agreement refers to funding of housing construction, i.e. 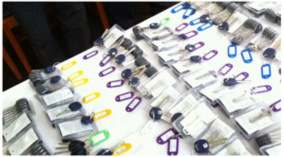 to granting credits to the end buyers. 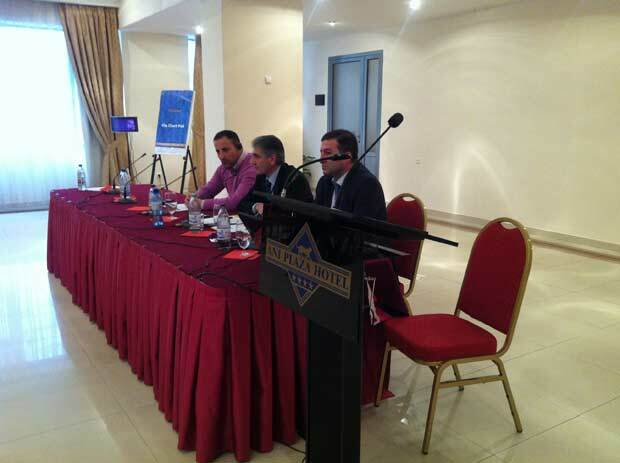 This is the first step with which the Bank attempts to stimulate end users of the Fund, that is to say to enable relevant crediting on a long term basis, said Mr. Aleksa Lukic, Executive Director of the Erste Bank. 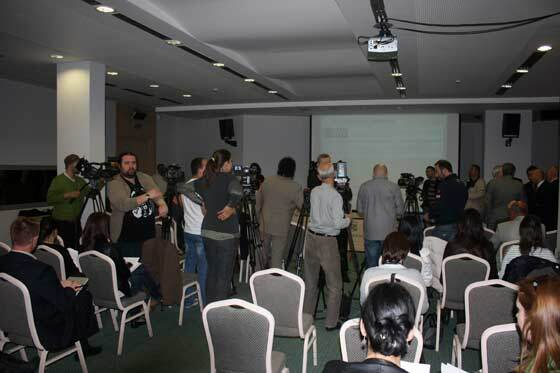 The Agreement was entered into by and between Mr. Danilo Popovic, President of the Board of Directors of the Fund and Mr. Aleksa Lukic, Executive Director of the Erste Bank. 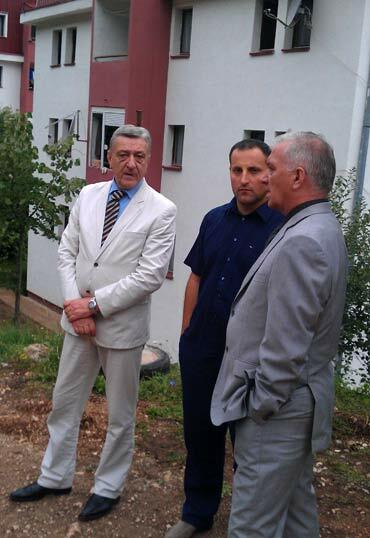 PLJEVLJA-Representatives of the Montenegrin Fund for Solidarity Housing Development Mr. Danilo Popovic, President of the Board of Directors and Mr. Boris Mihailovic, Executive Director of the Fund, handed over the keys to the owners of the apartments of residential building in Pljevlja, which were constructed within the Project “1000 Solidarity Apartments”. 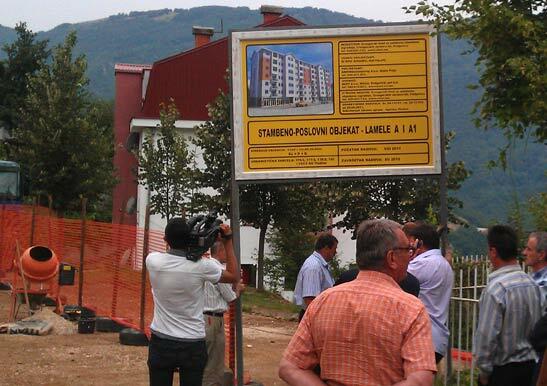 Works on the construction of the residential building with 26 housing units in Pljevlja were executed by the company “MD Momo” from Berane. 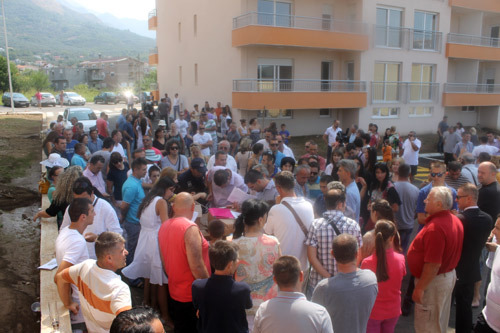 Cooperation with the Municipality of Pljevlja on development of another residential building with 50 apartments has been announced during the formal handover of the keys. 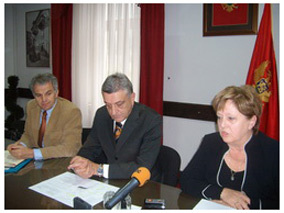 Representatives of the Faculty of Economics and the Montenegrin Fund for Solidarity Housing Development entered into the Agreement on business cooperation, which anticipates that this institution drafts a Feasibility Study relating to the construction of solidarity apartments, their sale and rental, as well as the justifiability of establishing a bank of the Fund. 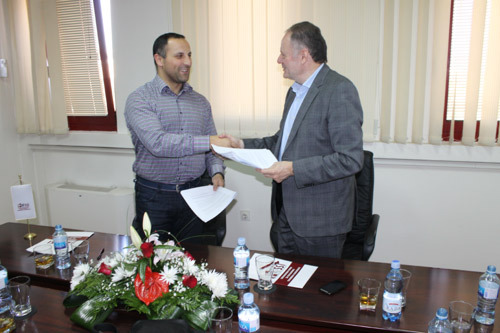 The Agreement was entered into by and between Prof. Dr. Milorad Jovovic, Dean of the Faculty of Economics and Mr. Danilo Popovic, President of the Board of Directors of the Fund. 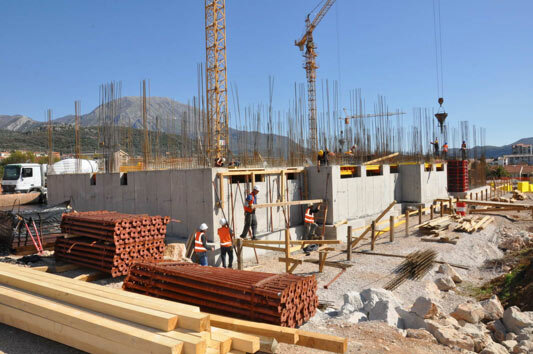 After finishing project documentation and submitting it to technical control, development of the building “B” in Podgorica has started and it is expected to be completed and inhabited in the next couple of months. 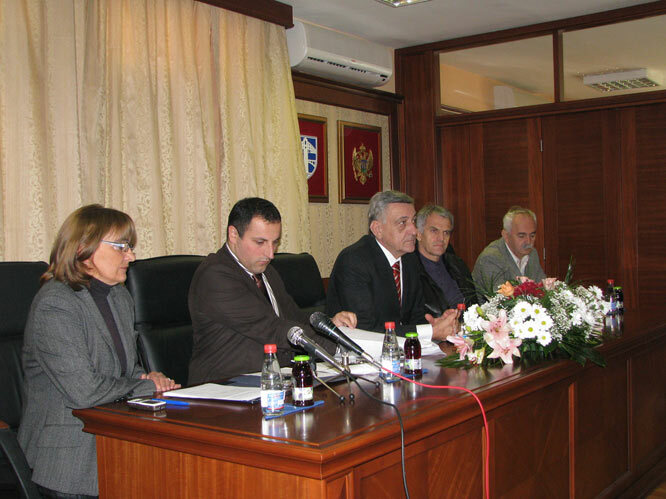 The Fund’s planned projection of work for the following 2009 is the continuation of development of residential buildings at the Kakaricka gora, at the plots obtained from the capital of Podgorica. 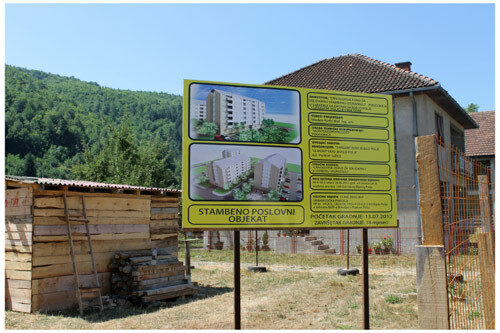 Development of 64 housing units is planned on that location in the next period while the development of the already started buildings in Pljevlja (25), Berane (90), Cetinje (52) and Budva (33) is in the phase of completion. 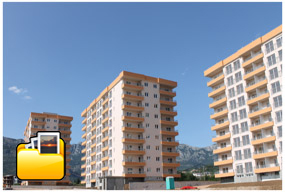 Except the planned development and completion of housing units in the above mentioned municipalities, and after obtaining cadastre plots from the local governances of the majority of Montenegrin municipalities, the Fund in its future activities, planned development of 324 housing units in Bar, 86 in Budva, 150 in Bijelo Polje, 145 in Niksic, 12 in Zabljak, 36 in Rozaje, 25 in Petrovac, 22 in Herceg Novi, 60 in Plužine, 12 in Mojkovac, 10 in Andrijevica, 90 in Cetinje, 50 in Berane i 50 in Pljevlja. 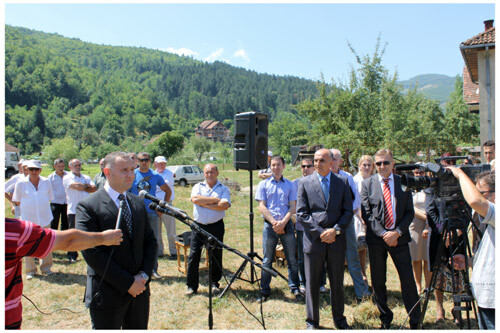 Montenegrin Fund for Solidarity Housing Development has made a preliminary Master Plan for the Eco-City for the Municipality of Danilovgrad and proposed to the Municipality of Danilovgrad and the Government of Montenegro the development of a modern ecological residential area, i.e. town with optimal conditions for human housing according to the world’s standards, which would be unique in this part of Europe. 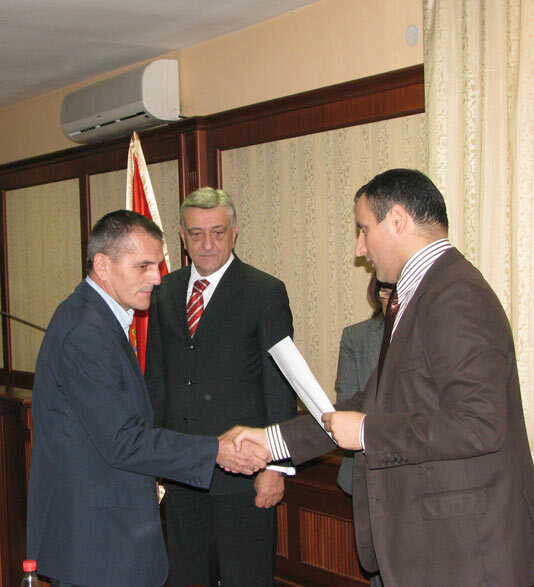 The Master Plan is submitted to the representatives of the Municipal Parliament of Danilovgrad, representatives of the Government of Montenegro and to the relevant institutions for consideration. 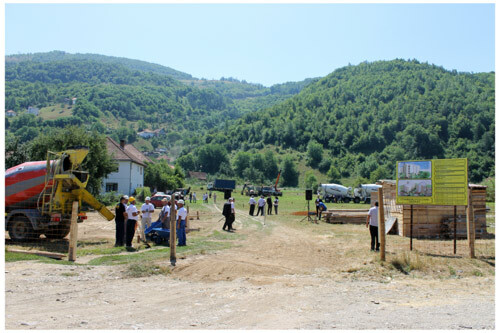 In close cooperation with local goverments and municipal trade union commissions the CFSSI has provided building land in almost every municipality in Montenegro. 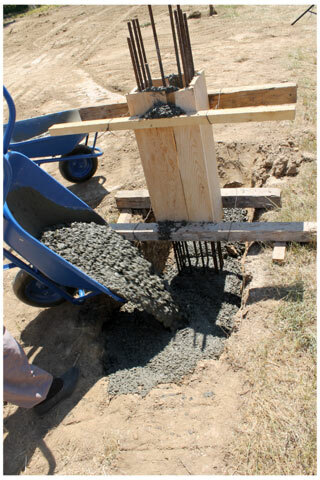 In some of them works are in the phase of completion.